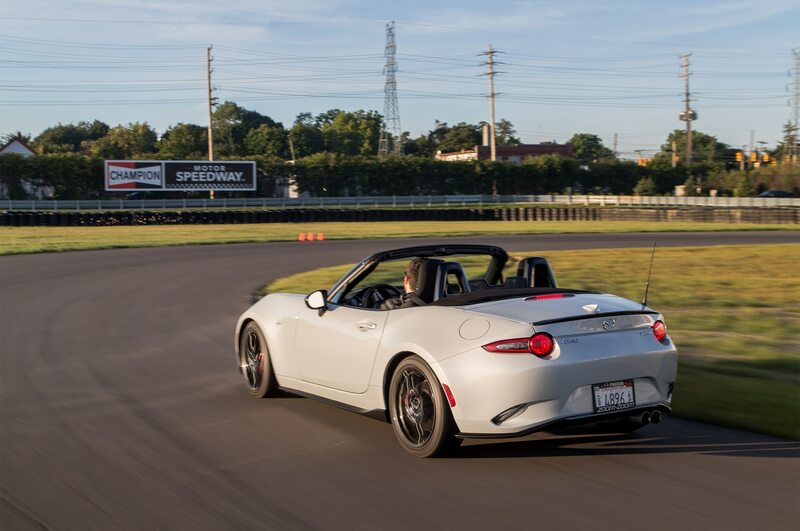 We’ve reached a crossroads where two decidedly different sports cars are at a standoff over which has the right of way. 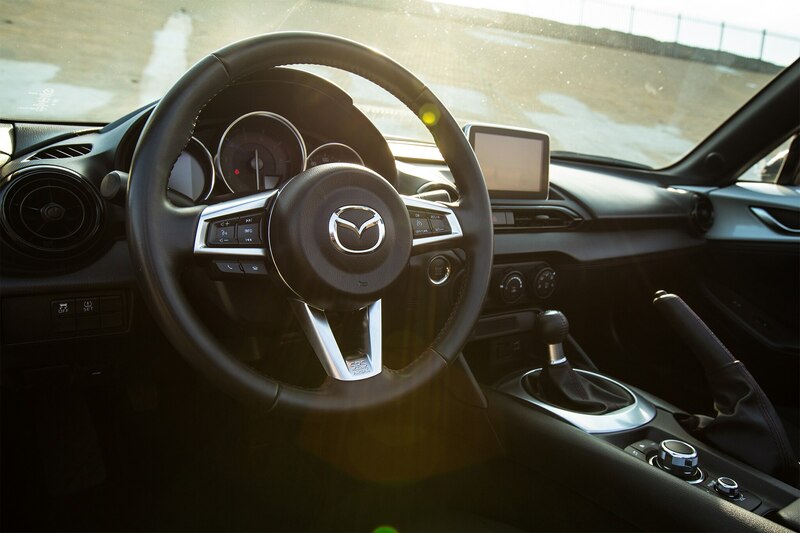 Will the autonomous system guiding the tech-laden, EV-boosted model engage polite mode and let the visceral, highly analog machine proceed first? 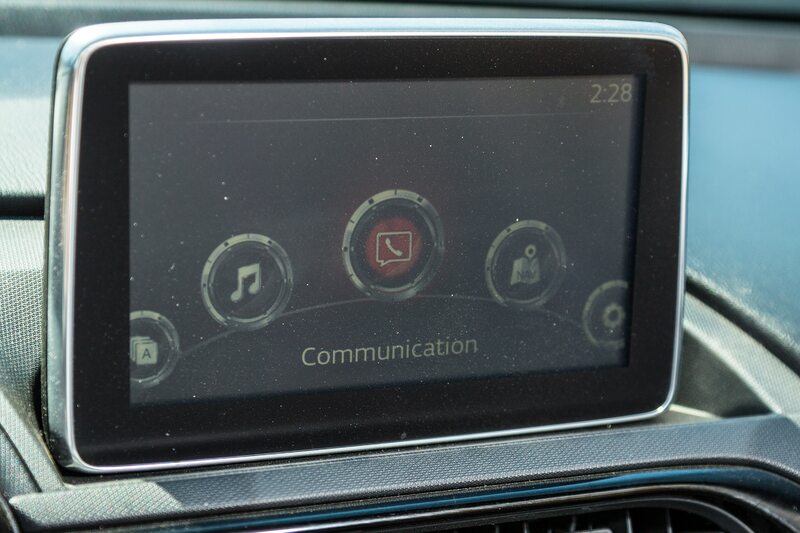 Or will this be the last intersection for a car that actually needs a human to turn the wheel and push the pedals? 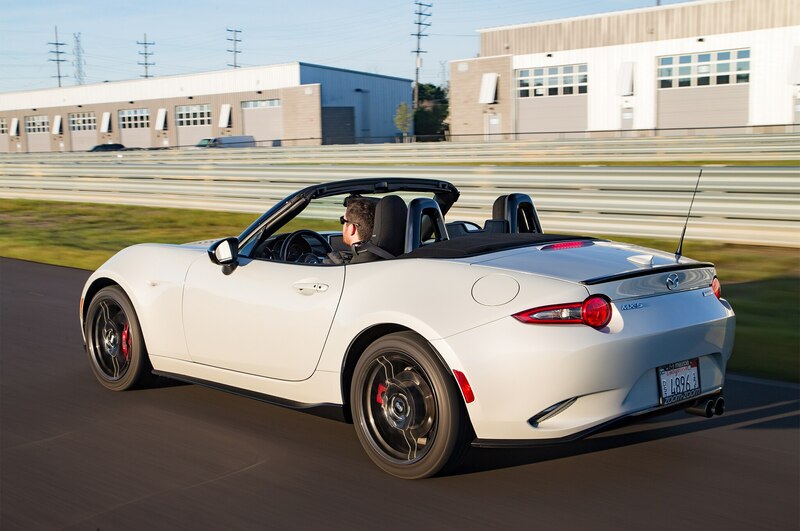 The old-school-flavored, drive-it-yourself ride in question is a lightweight, minimalist ragtop with rear-wheel drive. 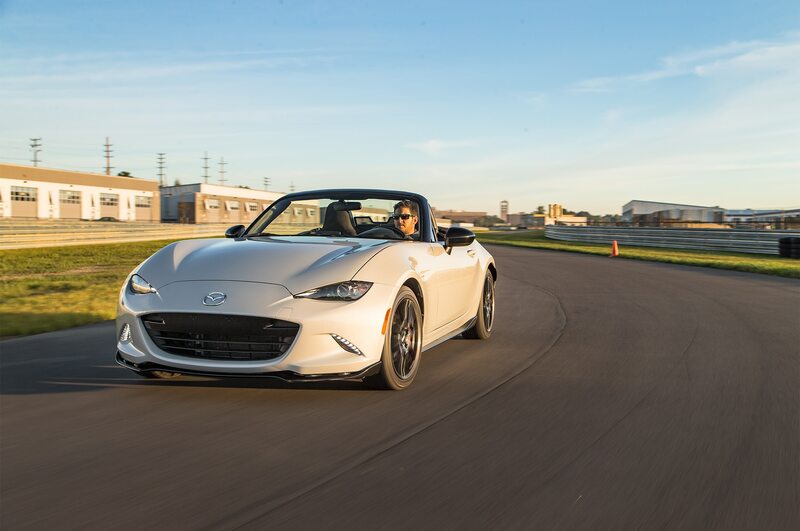 It has no advanced self-driving gadgetry, and its drivers need not waste their time dialing in fancy electronic chassis and throttle settings. 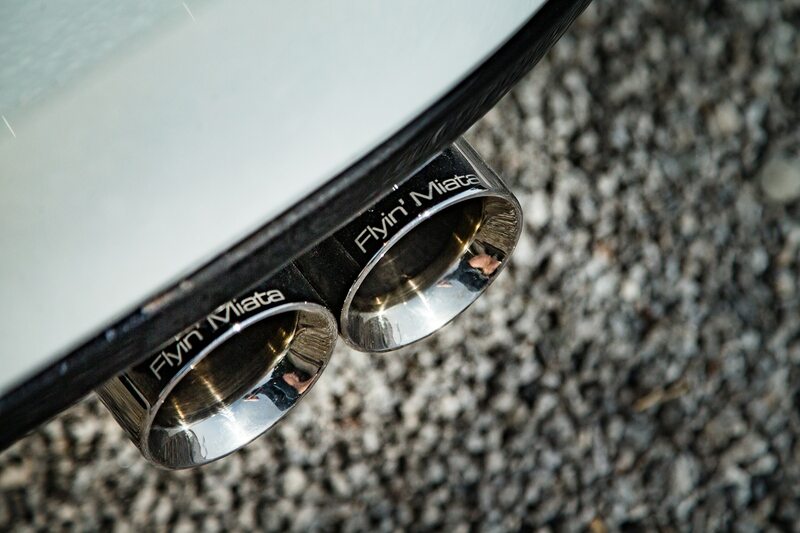 It came, we think, with the correct setup from the Hiroshima factory where it rolled off the line. 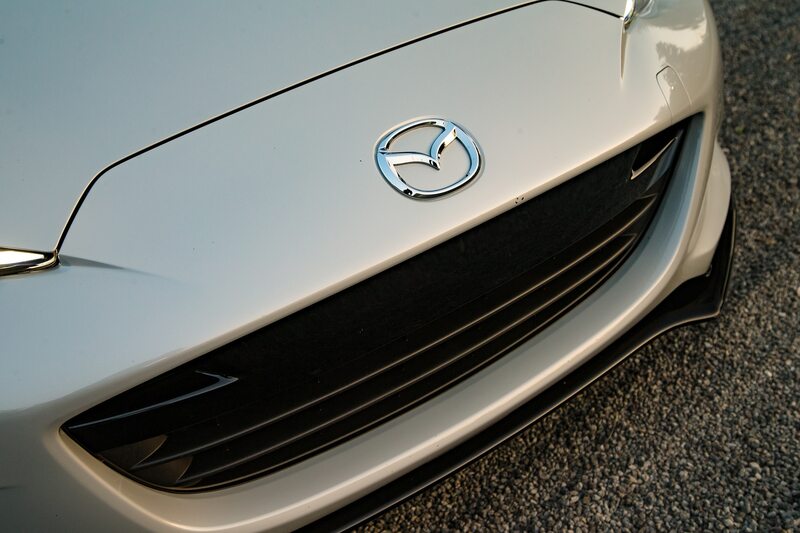 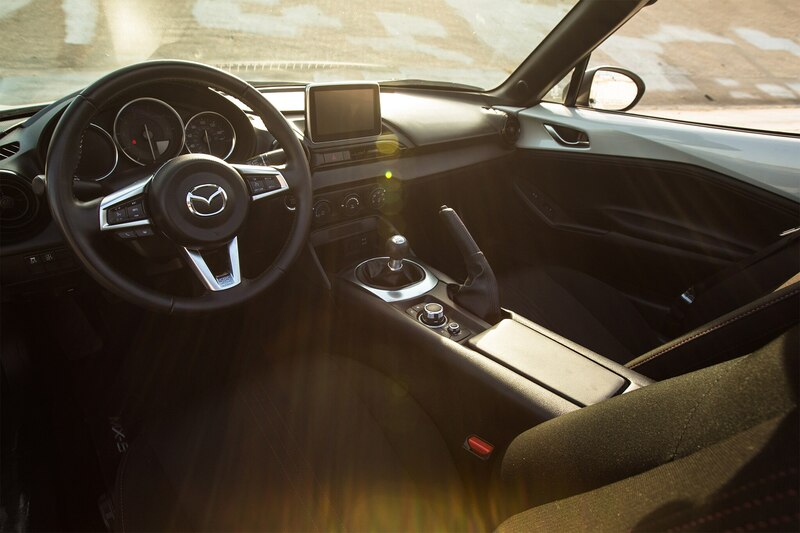 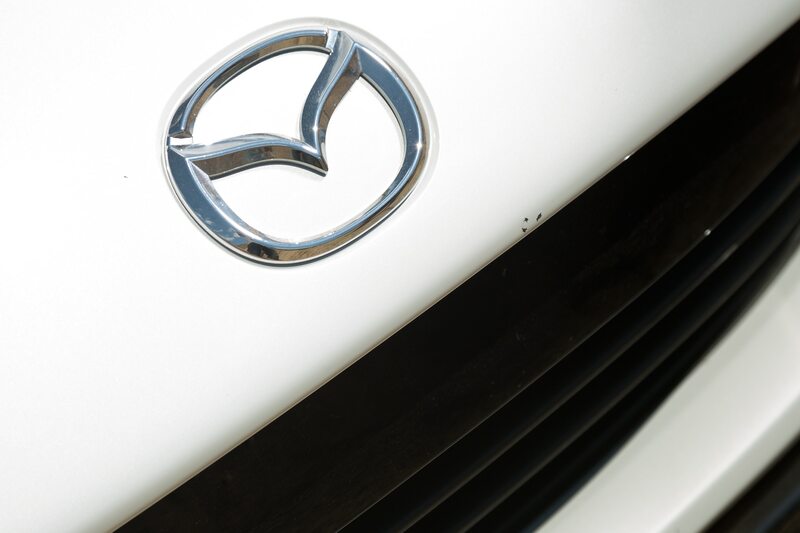 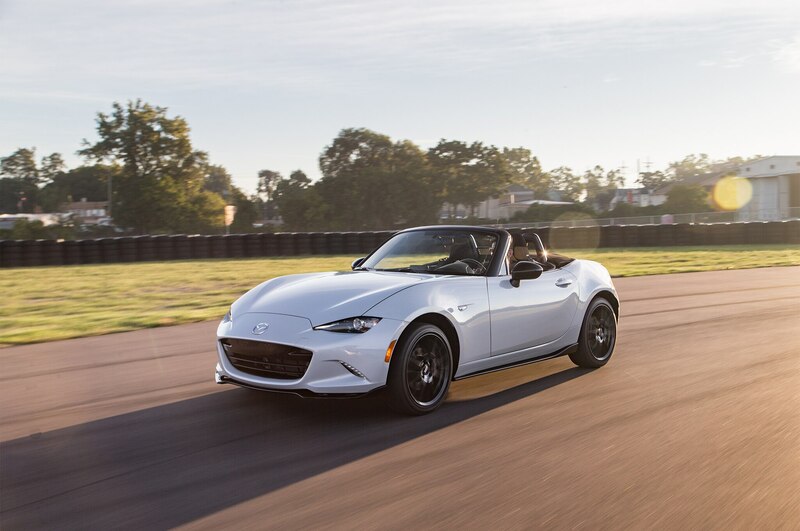 It’s a car we’ve been thrilled with since the original made its debut in 1989: the Mazda Miata. 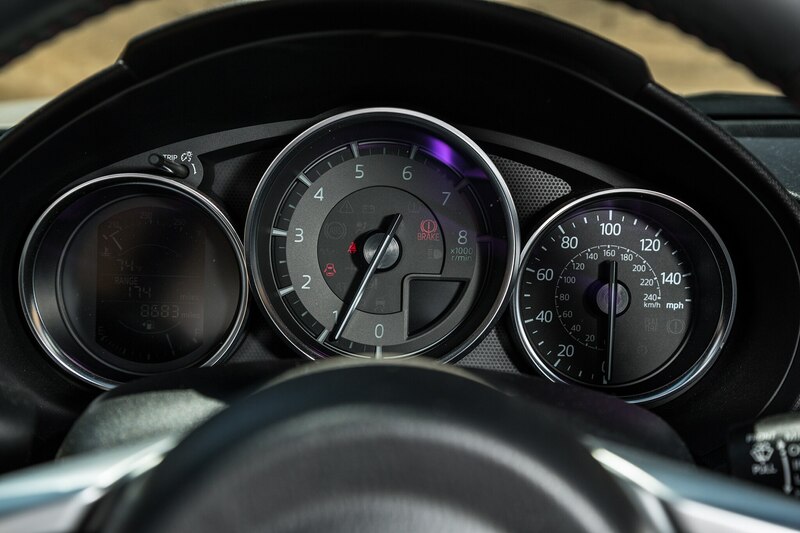 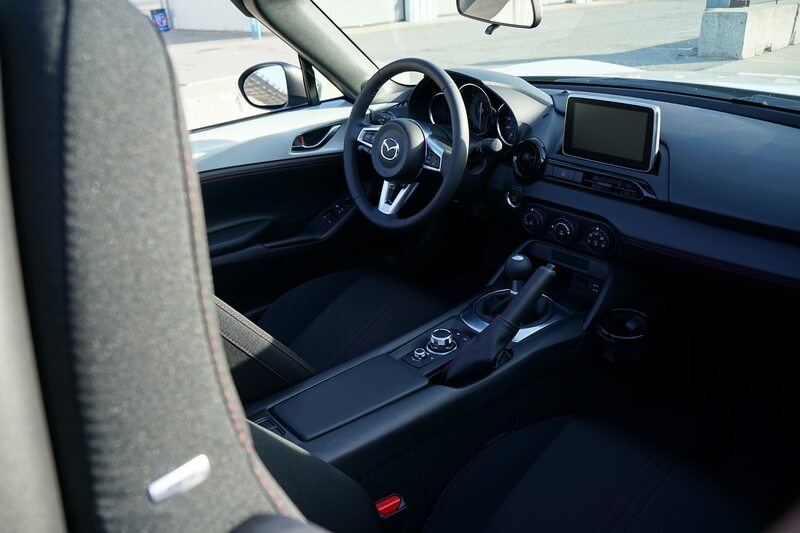 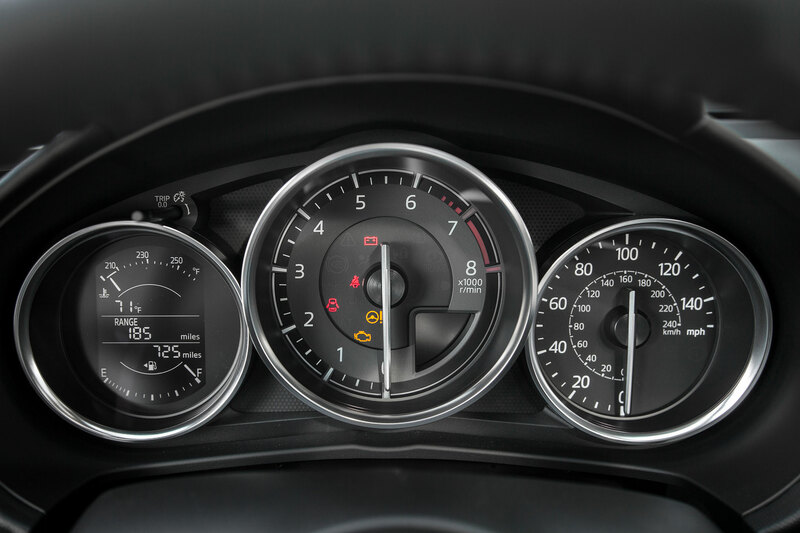 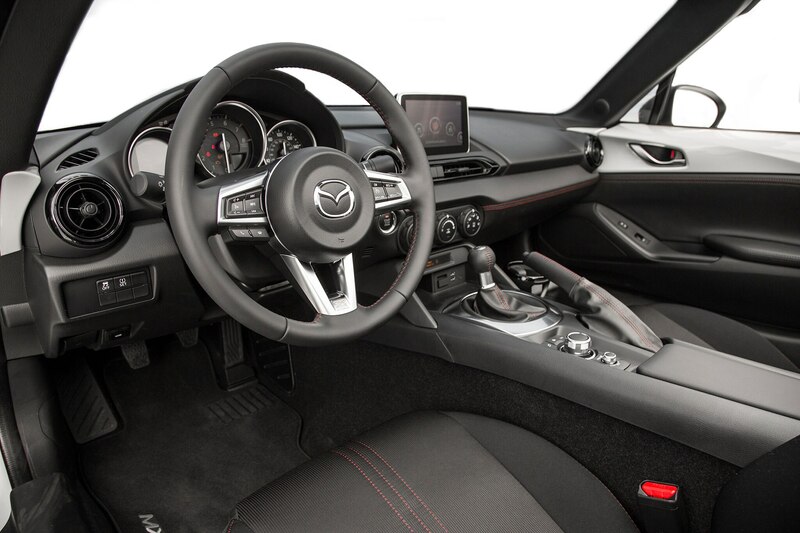 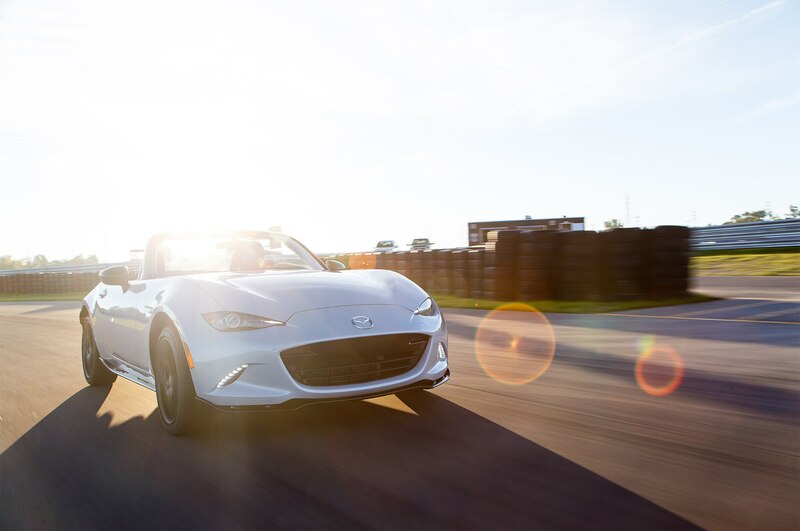 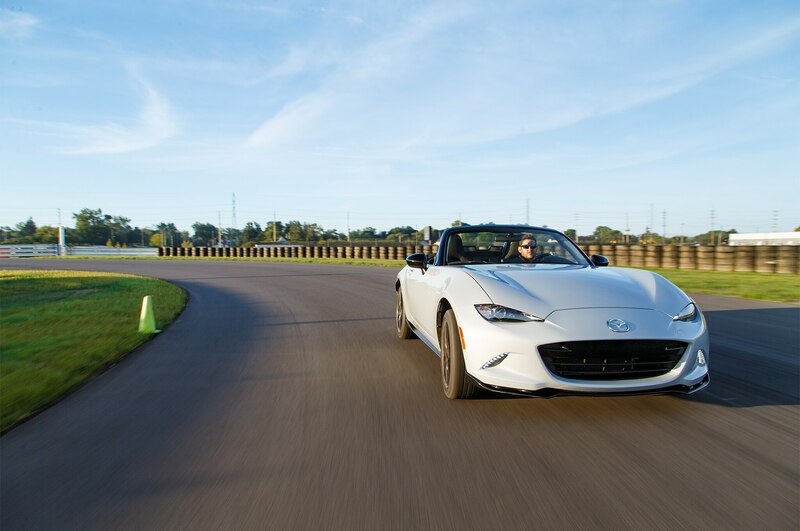 When Mazda announced to the world that the all-new fourth-generation MX-5 would be lighter and closer to the original’s character, we knew we wanted to perform a long-term evaluation, even more so after we dubbed it a 2016 All-Star. 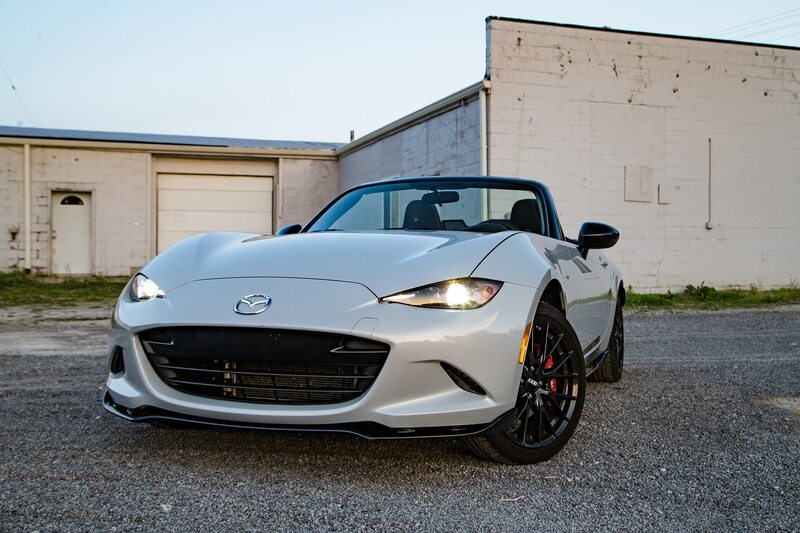 So we requested a $29,420 MX-5 Club edition to join the Four Seasons fleet. 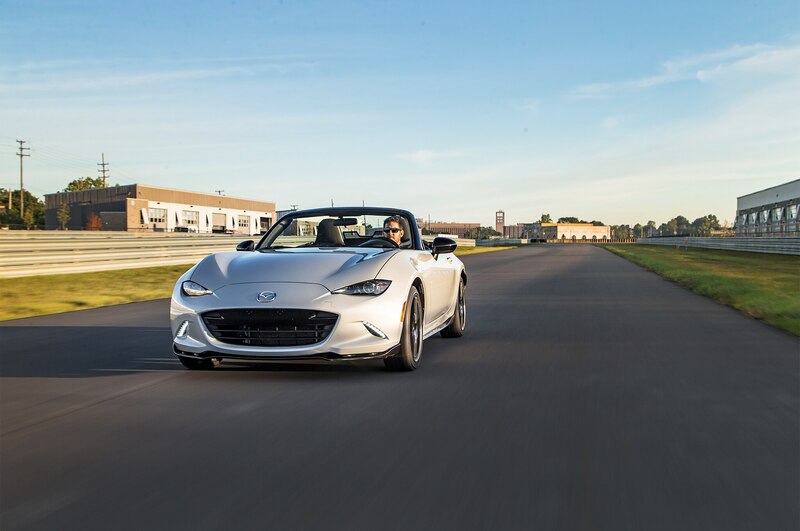 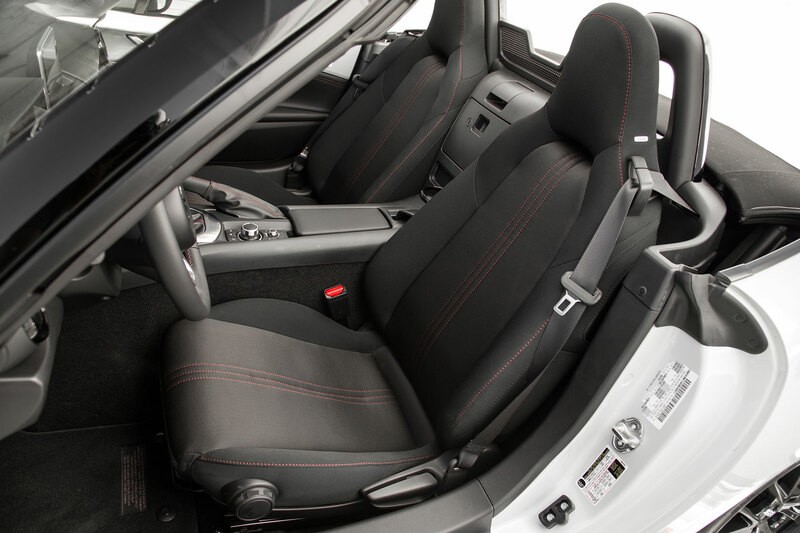 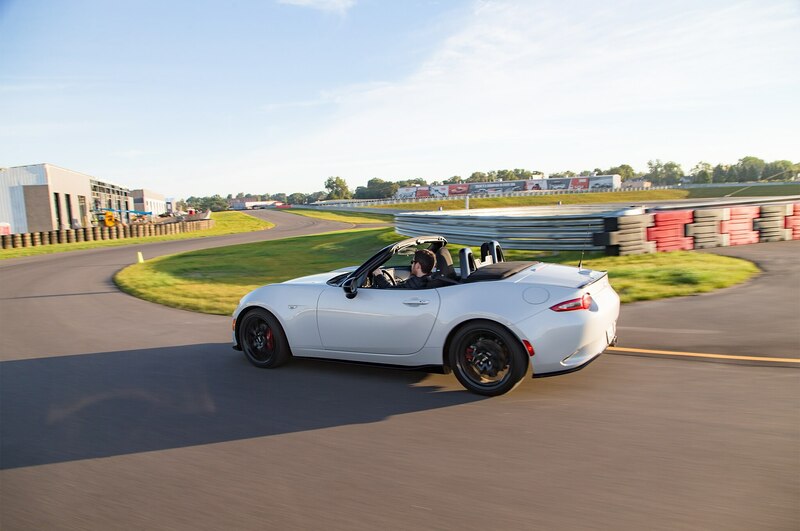 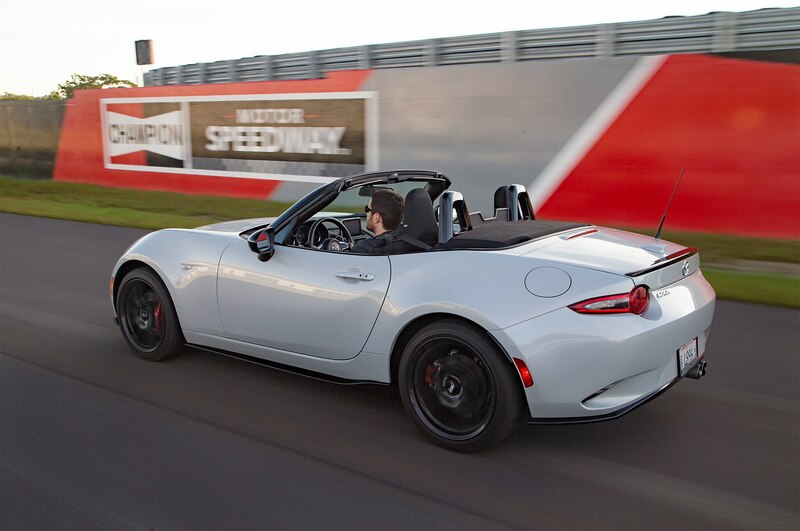 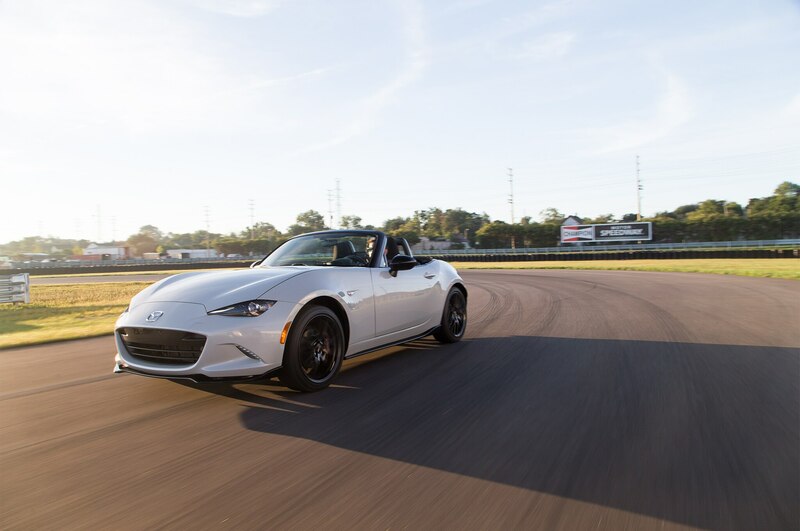 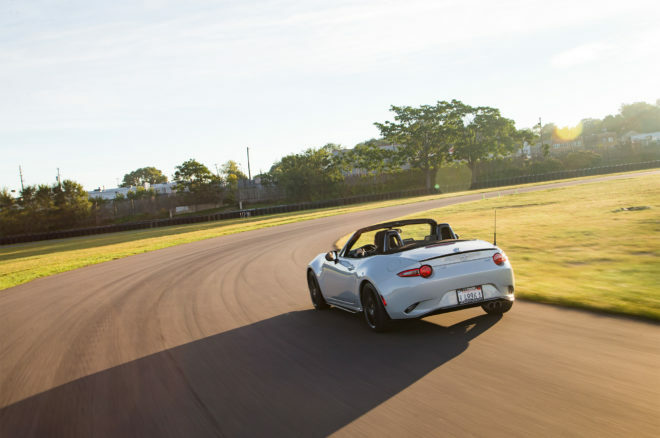 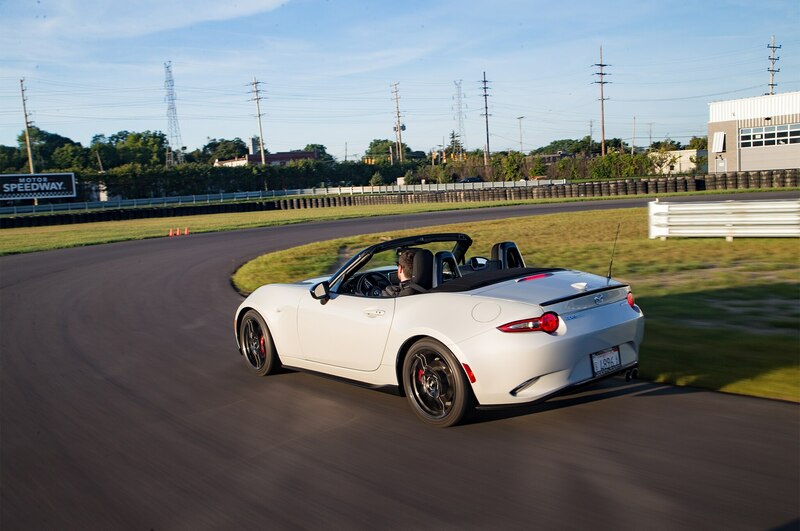 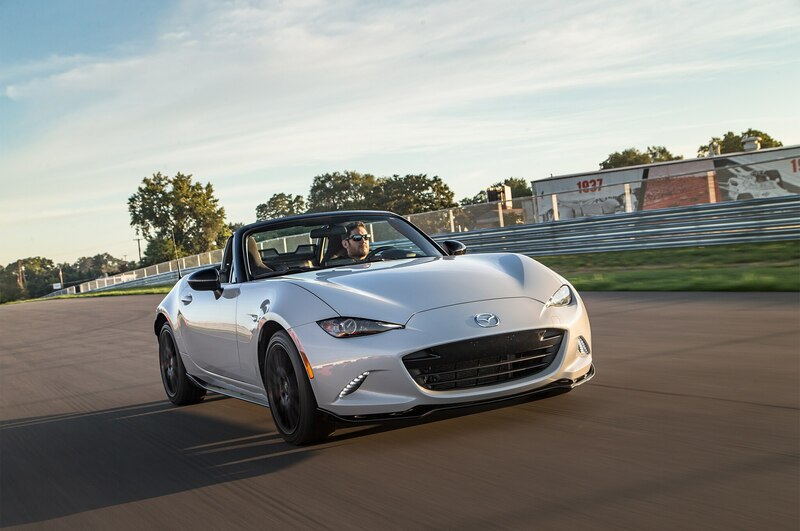 The only Miata trim level that comes with the sport-tuned suspension, the Club also features Bilstein shocks and a limited-slip differential, along with a front air dam, rear lip spoiler and bumper skirt, and side sill extensions. 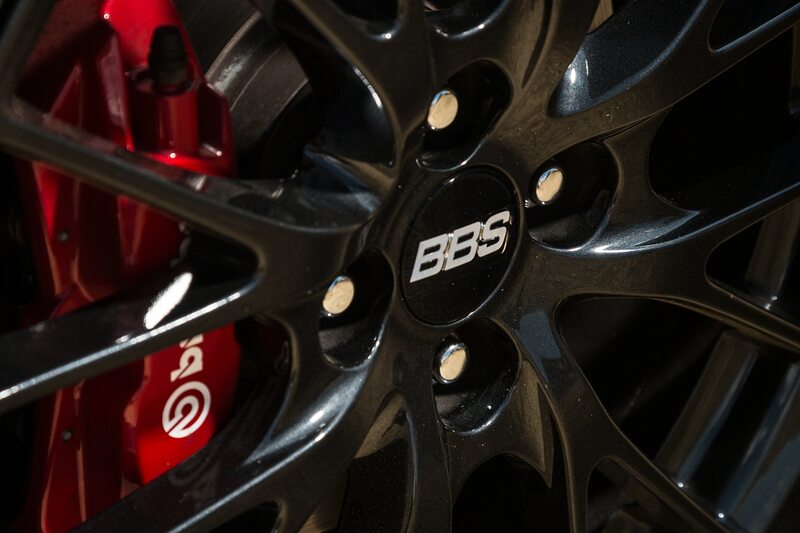 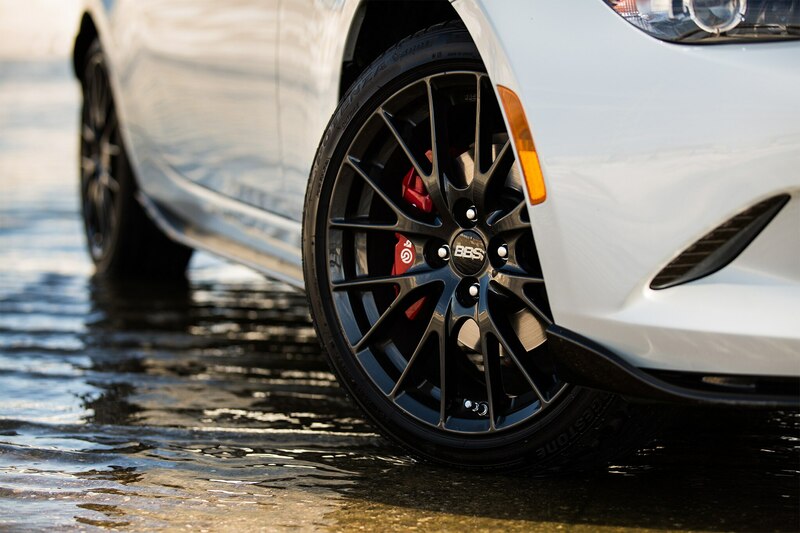 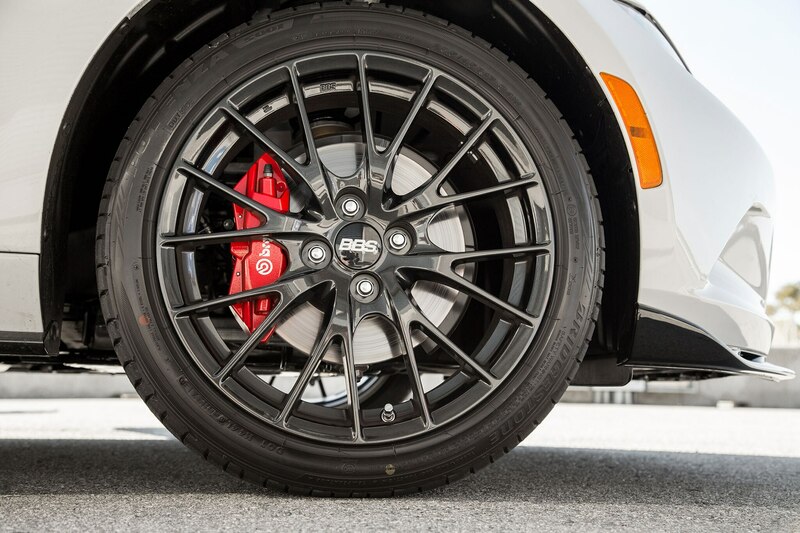 Naturally, we couldn’t resist adding the Brembo/BBS package to the mix ($3,400), with the former’s front calipers and rotors and the latter’s 17-inch forged dark aluminum wheels. 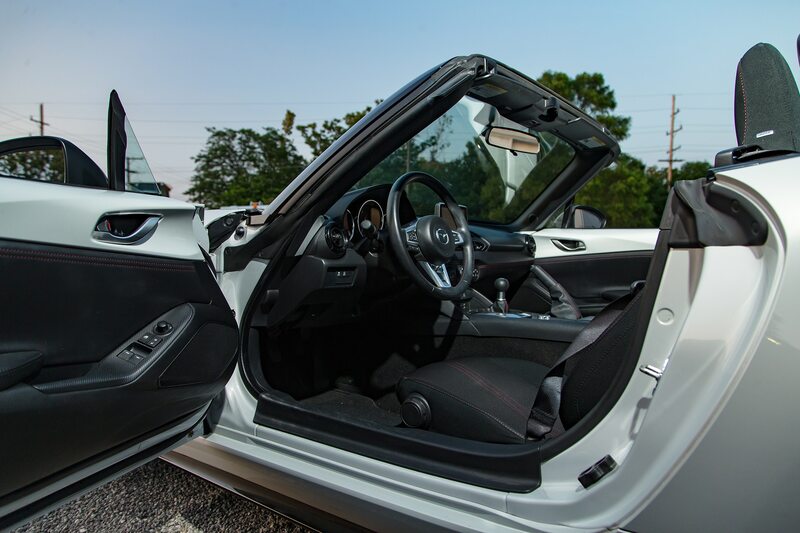 An advanced keyless system is added on for good measure. 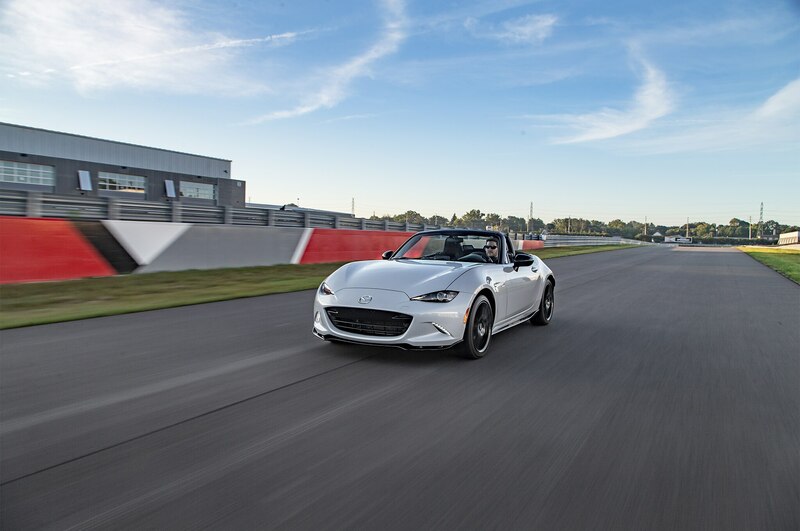 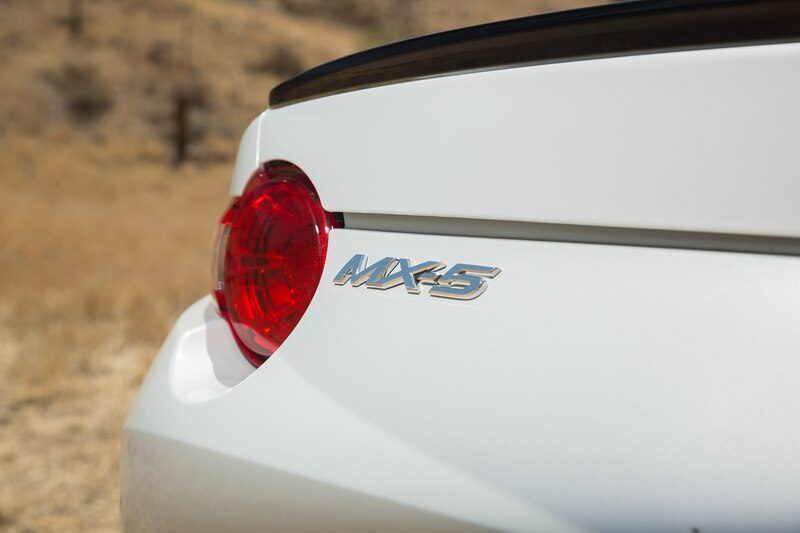 With minus 150 pounds of lightness added (as Colin Chapman would’ve put it) versus the outgoing third-generation model, our 2016 Mazda MX-5 Miata remains only adequately quick in a straight line, though to channel Lotus founder Chapman again, it’s quick everywhere else, too. 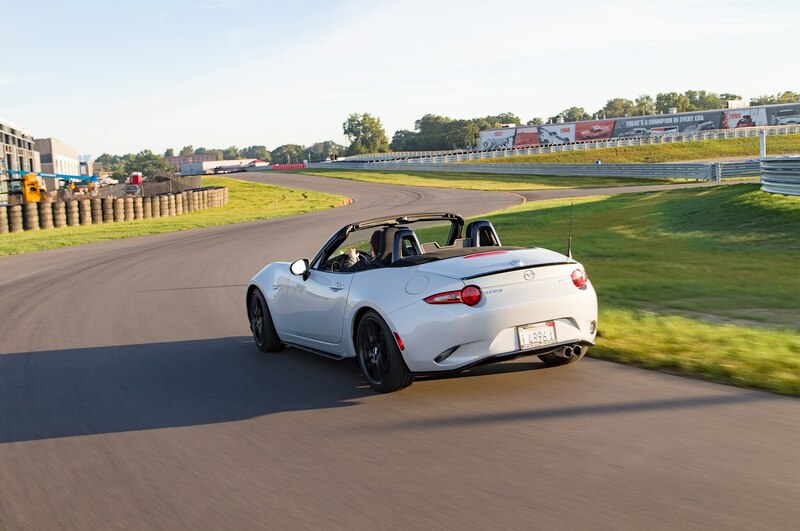 Much like the previous three generations, it yaws at turn-in and then stiffens as the tires hold grip. 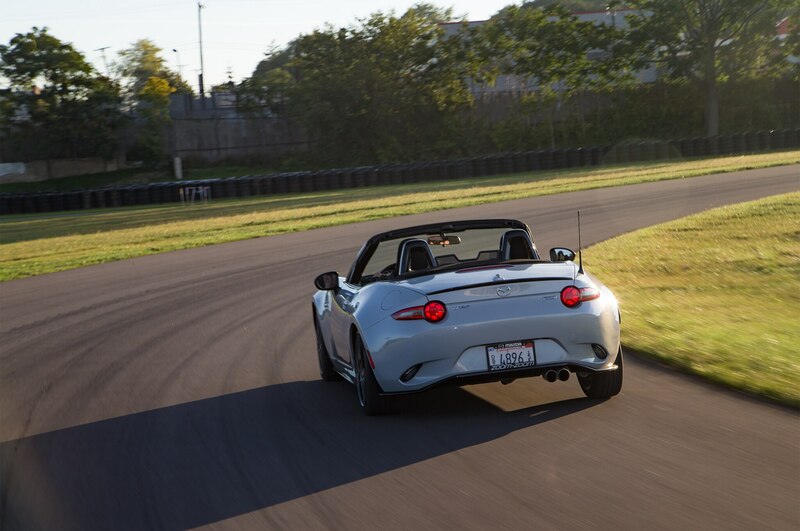 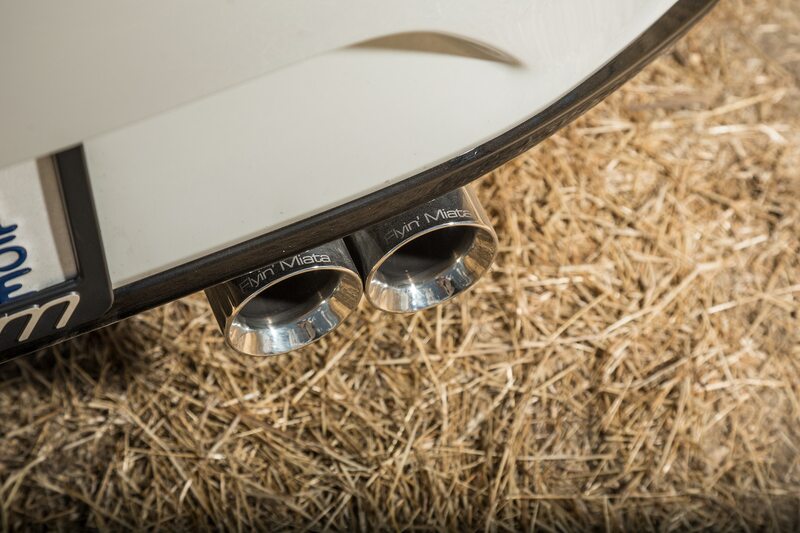 The tail will predictably help speed you through the corners if you use enough throttle or lift at the right time. 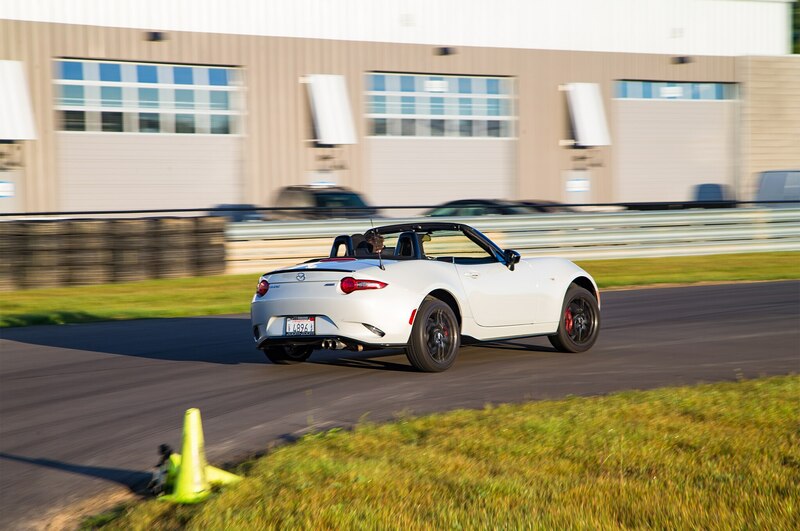 Although others agreed with Weiner on the steering feel, the car’s overall ride/handling has been described by some on staff as having tons of body roll. 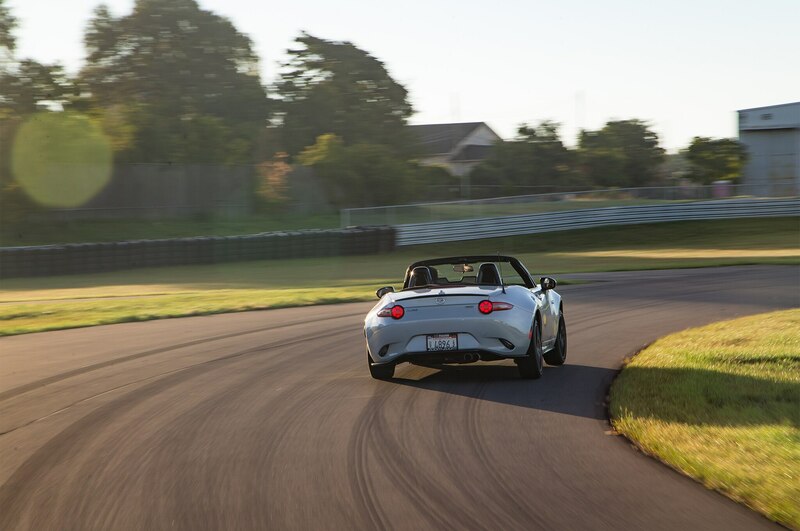 “I don’t like the amount of it you get when you corner hard,” executive editor Mac Morrison added. 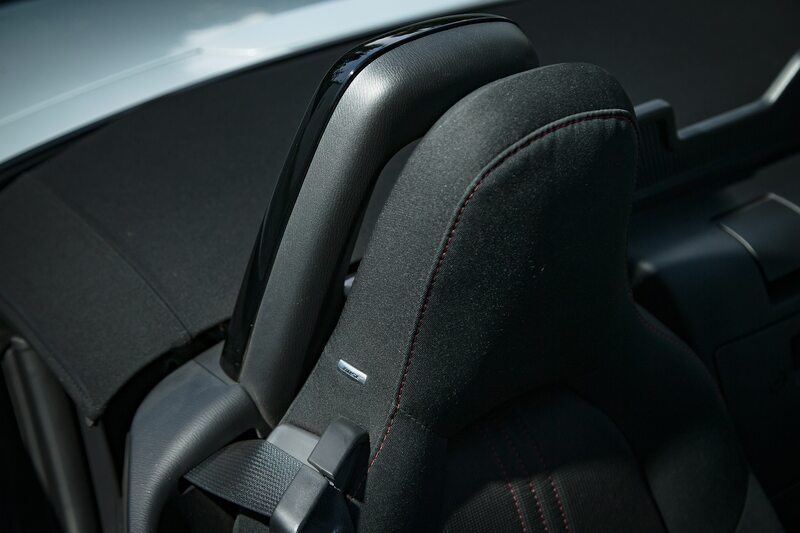 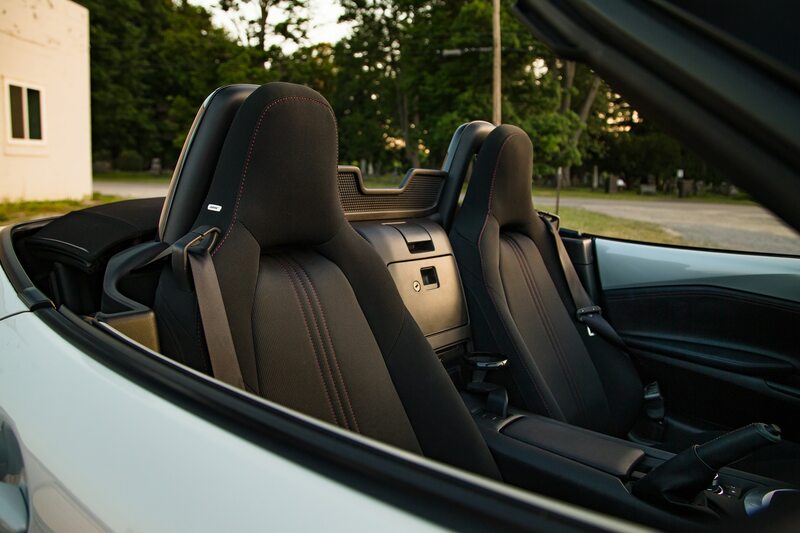 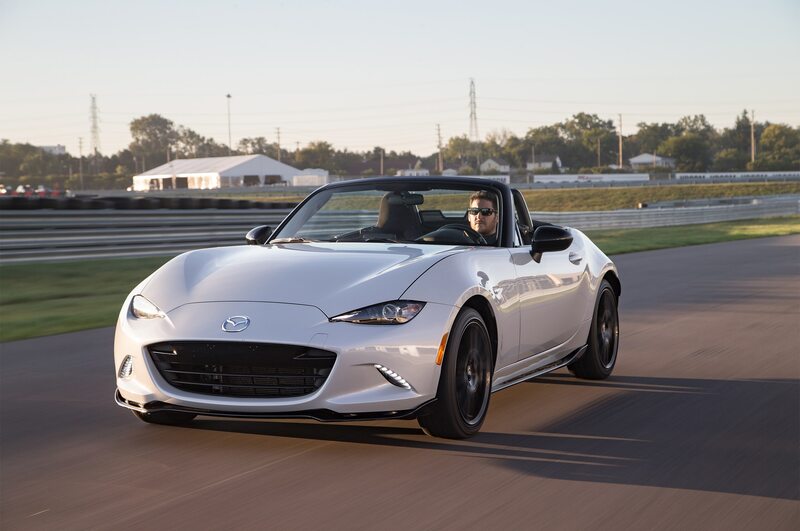 “The car is fun to drive regardless, but I would much prefer a more aggressive feel.” Our 6-foot-1-inch executive editor also wanted a seat height adjustment beyond the progressive fore-aft track that lowers as you move the seat back. 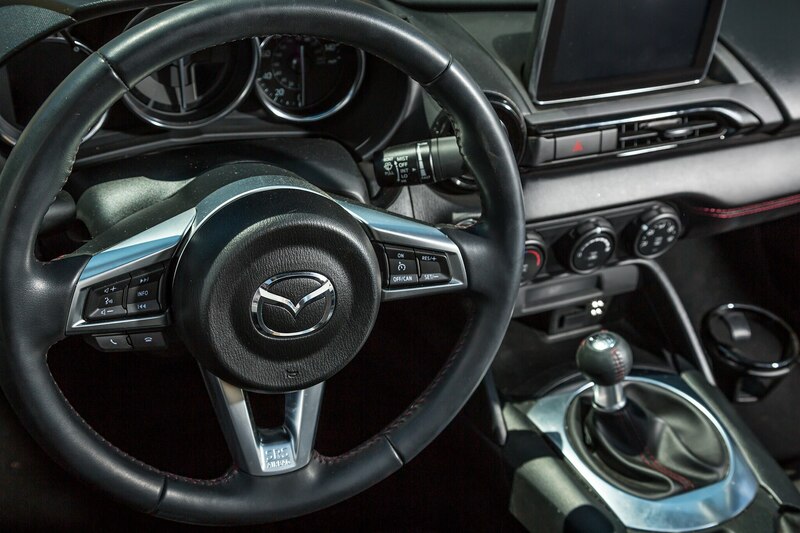 Associate editor Jonathon Klein, at 6 feet 4 inches tall, said the car is crying out for a telescopic steering wheel. 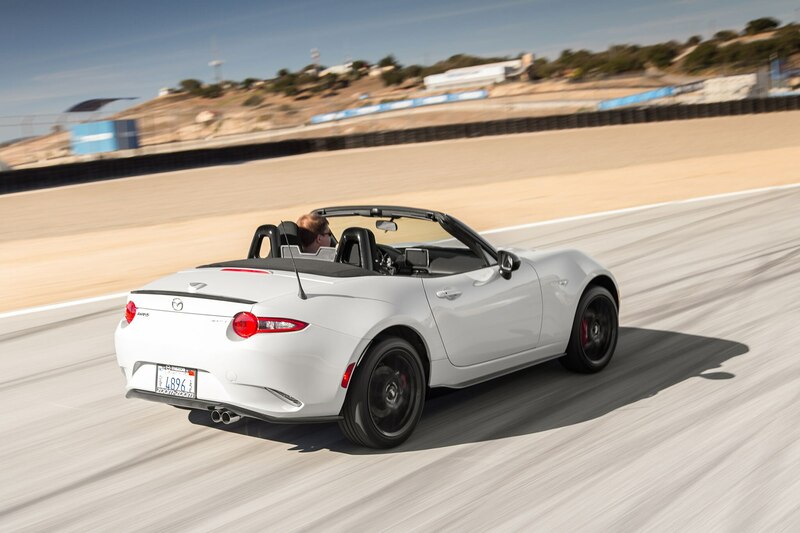 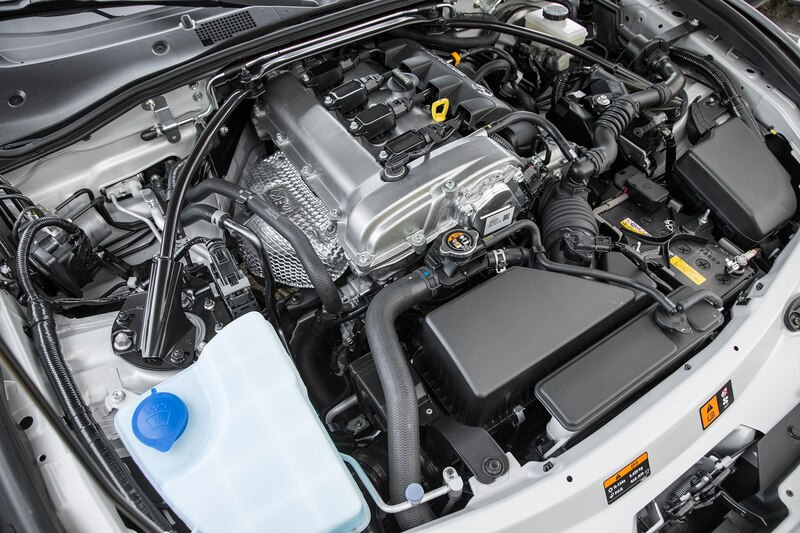 Although it’s rated at just 155 horsepower, there are only 2,312 pounds of car to motivate. 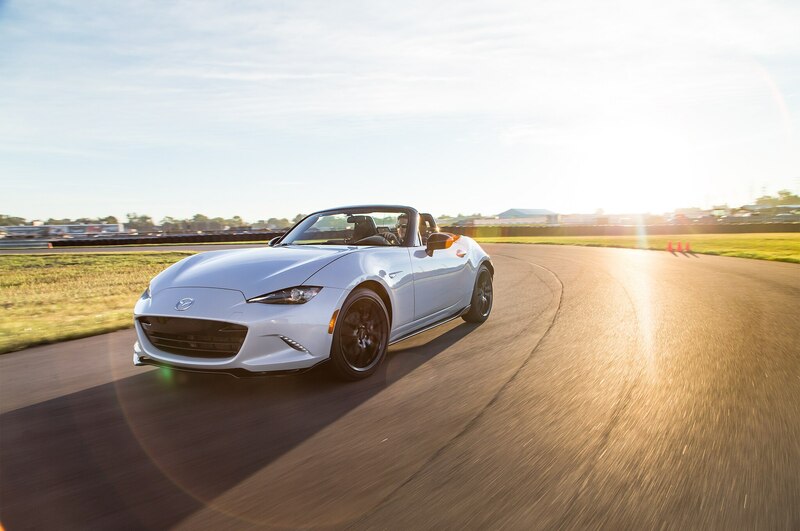 And though there were predictable pleas for more power, many declared the MX-5 to be as close to perfect as any sports car on sale. 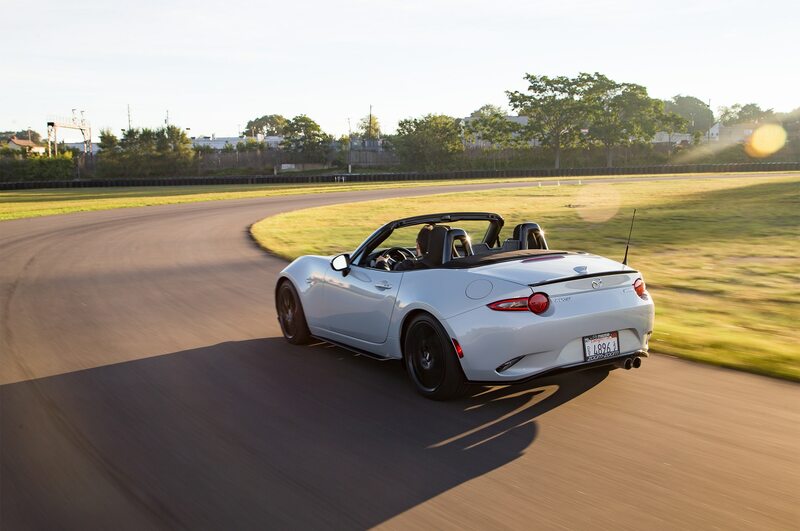 The power it does have is almost perfectly distributed. 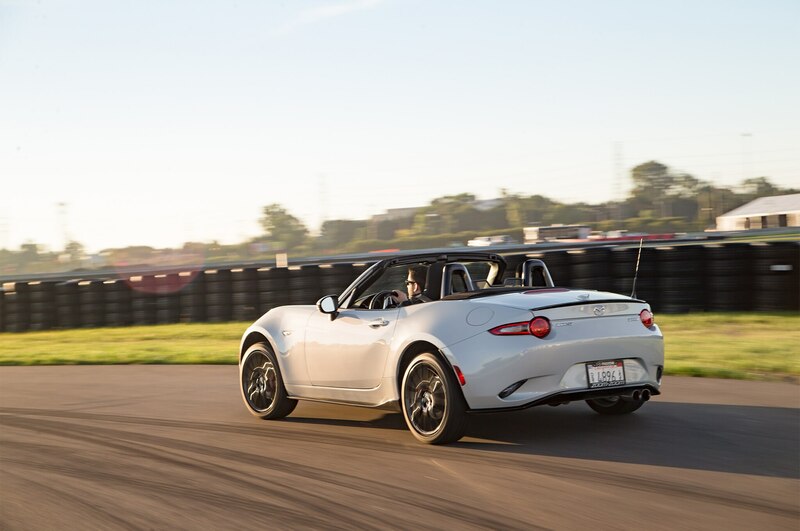 This is a car that’s about balance in every sense of the word. 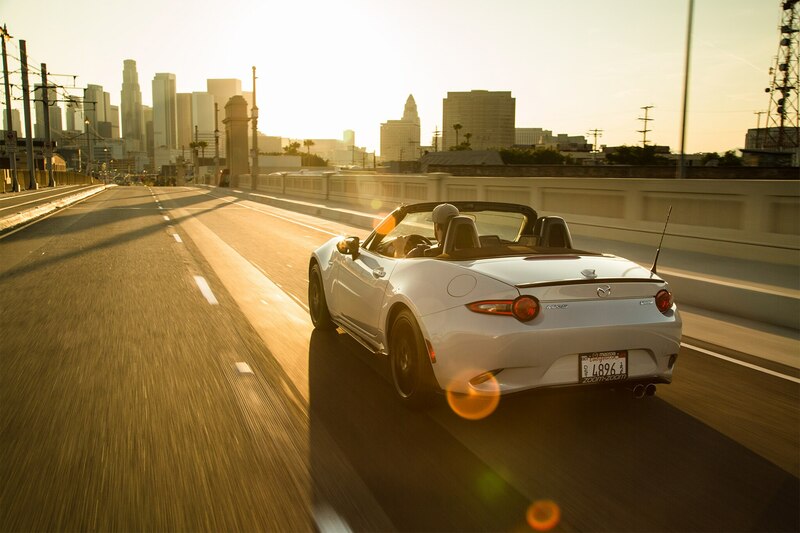 Not surprisingly, editors loved driving the Miata Club, especially with the top down on twisty canyon roads during a weekend getaway or on their favorite highway on/off-ramps, adding some spice to an otherwise boring, traffic choked daily L.A. commute. 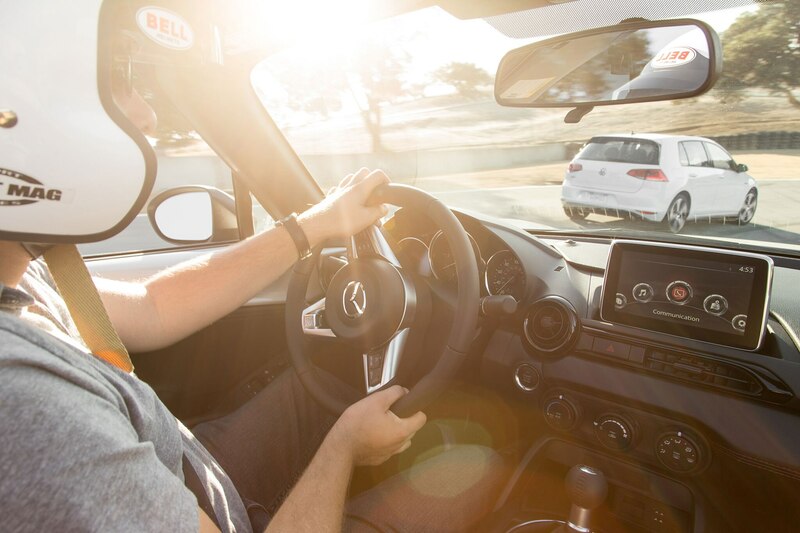 We drove it back to back along with the latest Volkswagen GTI, another perennial Automobile favorite, at Mazda Raceway Laguna Seca. 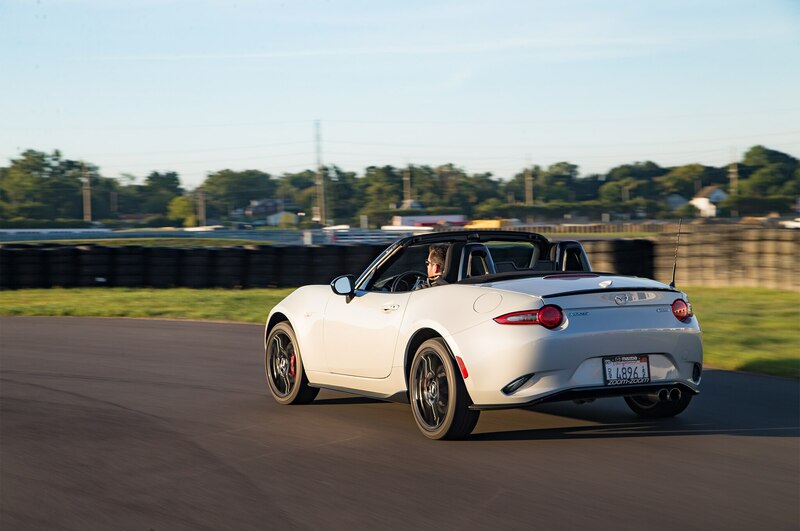 We also drove it alongside the new Fiat 124 Spider Abarth on the twisty, empty Highway 58 in Central California. By far our biggest trip in the Miata, however, was a cross-country jaunt by yours truly from our SoCal HQ back to our Detroit office, mostly along Interstate 80. 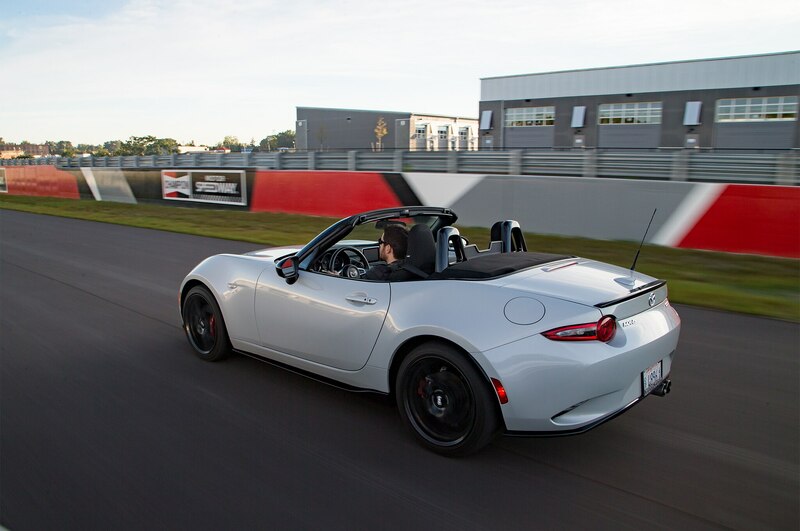 If you’re a couple who likes to take your sports car on longer trips, try fitted luggage, which my wife and I have used to great effect with our personal third-gen Miata. 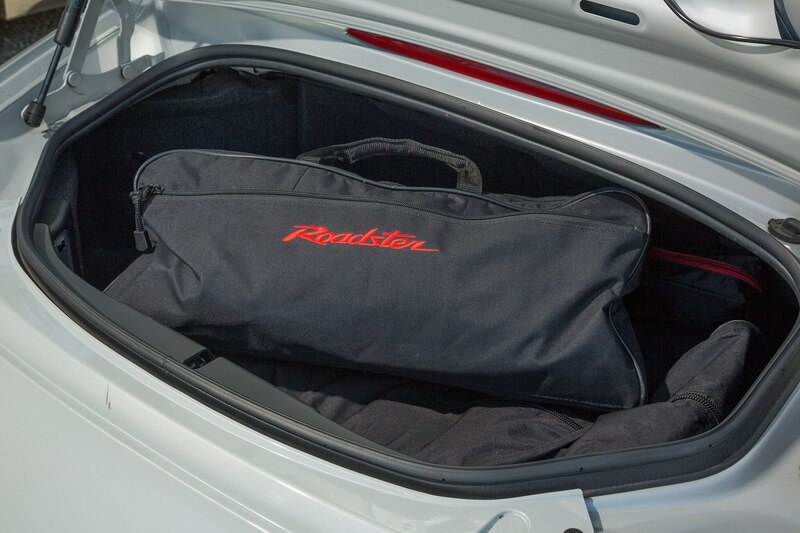 I borrowed the two larger bags for the three-day trip to Motown and had space left for my bike-messenger bag. 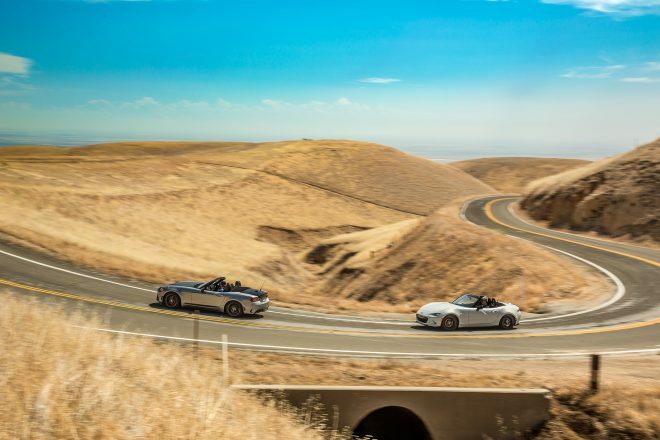 As many of the car’s miles were short open-top blasts in and around L.A., the Four Seasons Miata barely had 9,000 miles on the clock when features editor Rory Jurnecka turned the keys over to me on the west end of Highway 58. 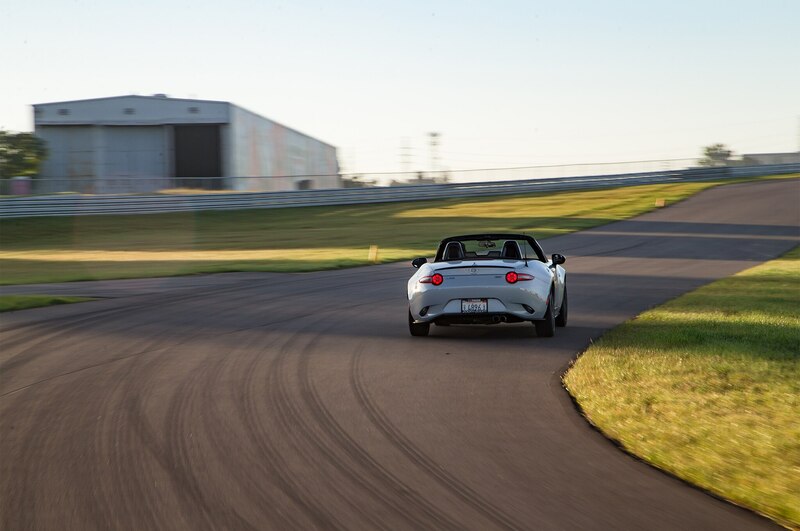 I drove it roughly 2,500 miles during the trip, and with less than three months remaining, the Detroit bureau team added another 7,500 or so. 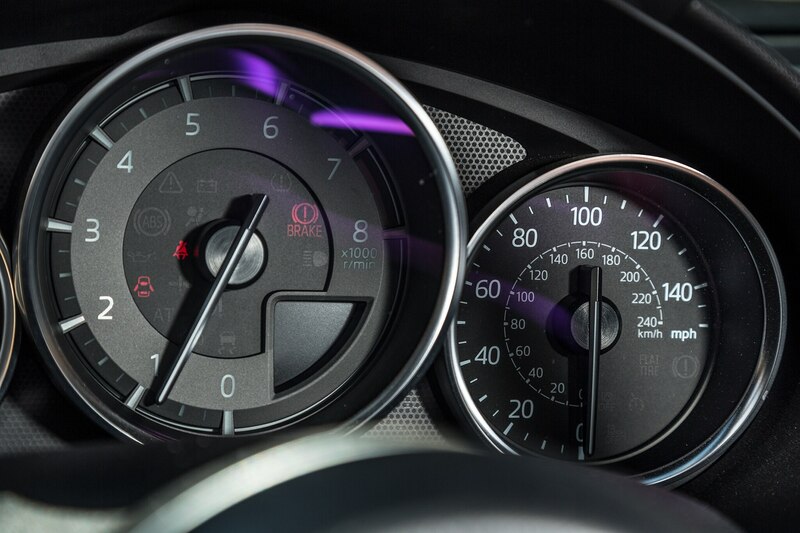 We (reluctantly) returned the car with 19,484 miles on the odometer. 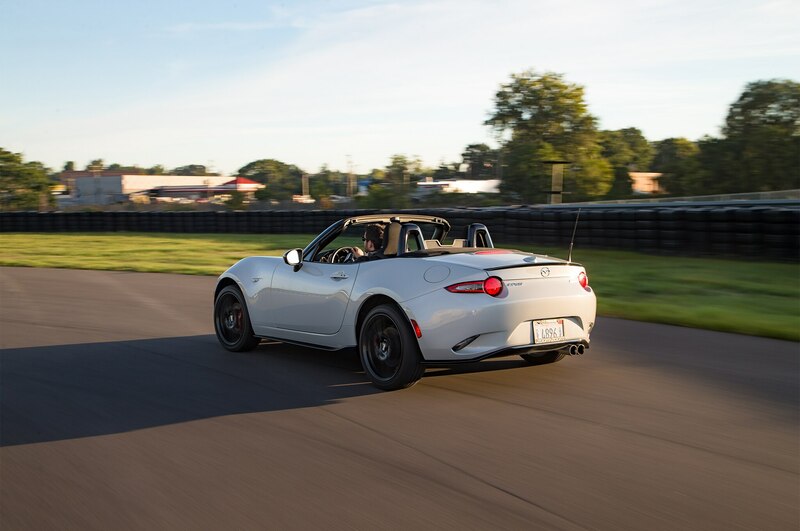 On top of scheduled maintenance, we spent $79.38 on a window chip repair and $595 on a Flyin’ Miata Hush-O-Matic, a throaty-sounding active exhaust that offers no performance improvements. 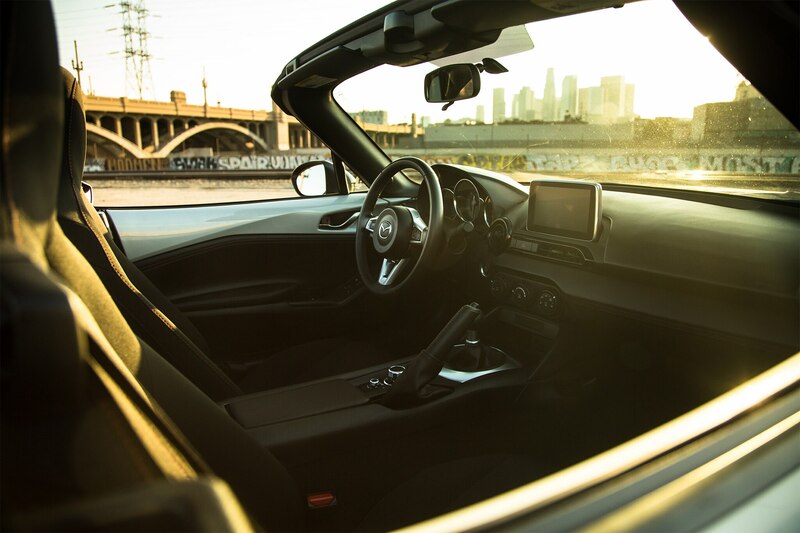 Editors in the El Segundo HQ were a bit embarrassed by its volume, while the apparently more boisterous Metro Detroit office enjoyed its manlier note. 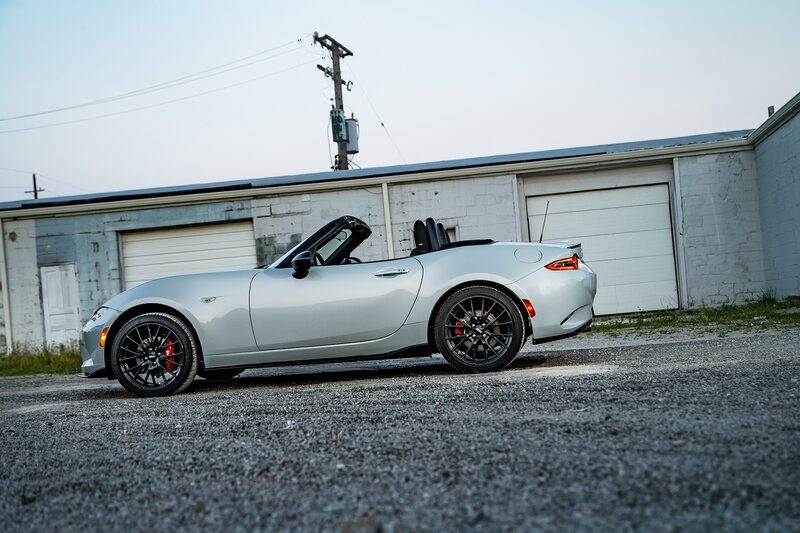 One of the last cars available at any price to offer all the charm and driving pleasure without oil leaks and electrical gremlins of yore. 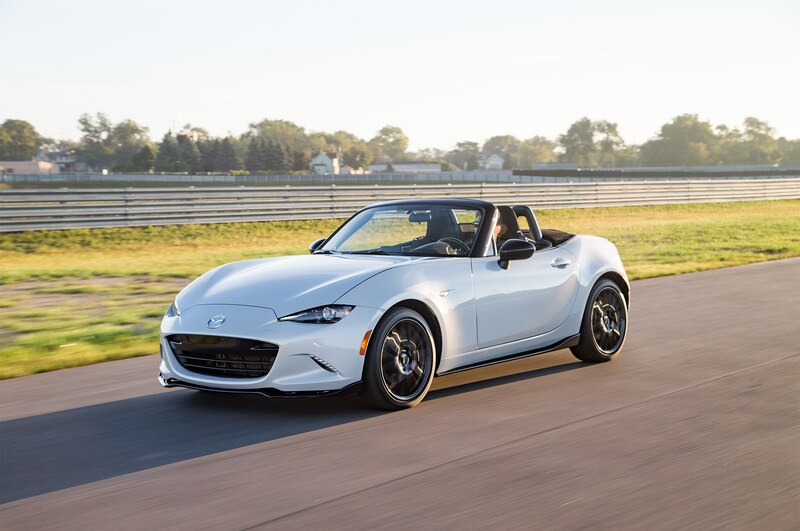 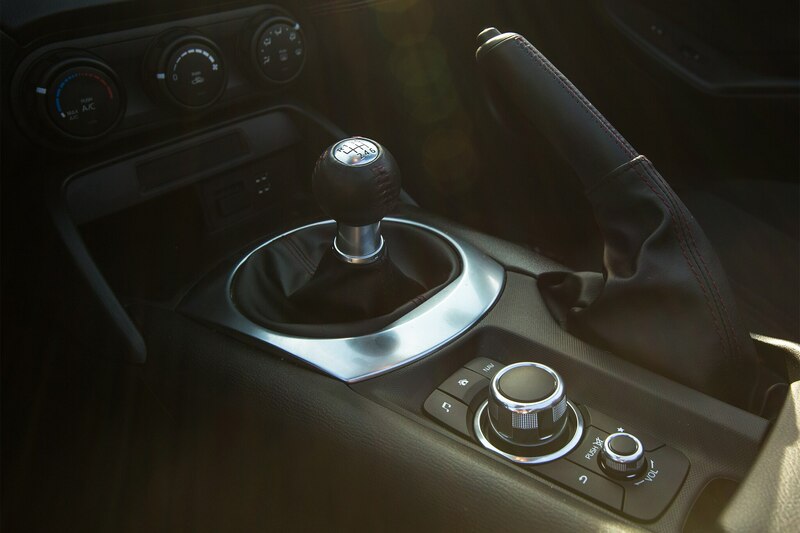 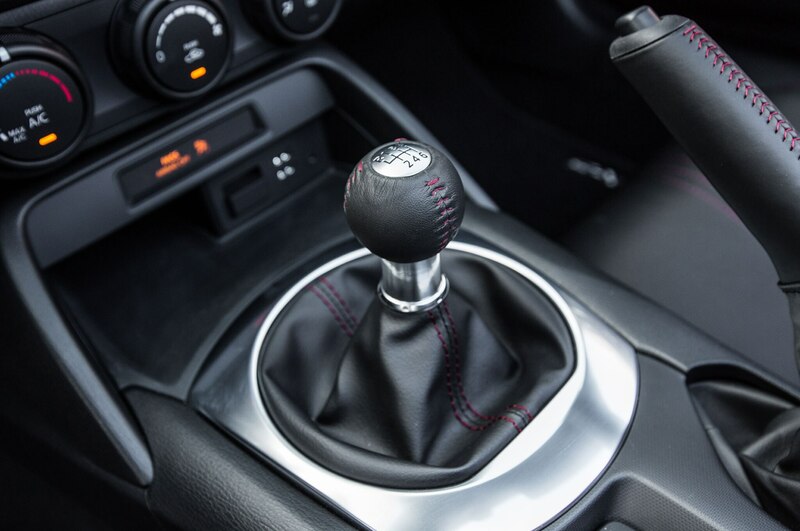 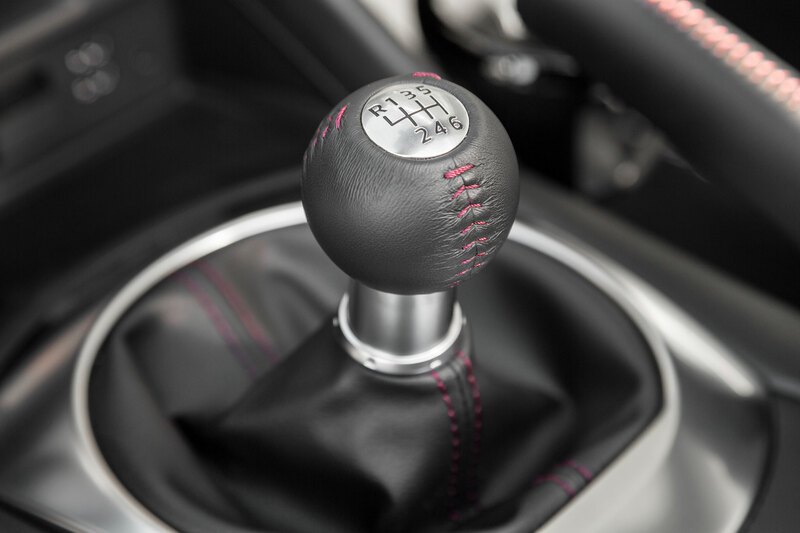 We heard that some early owners of the new Miata were having issues with second and third gear, and indeed one we know received a technical service bulletin for his personal car. 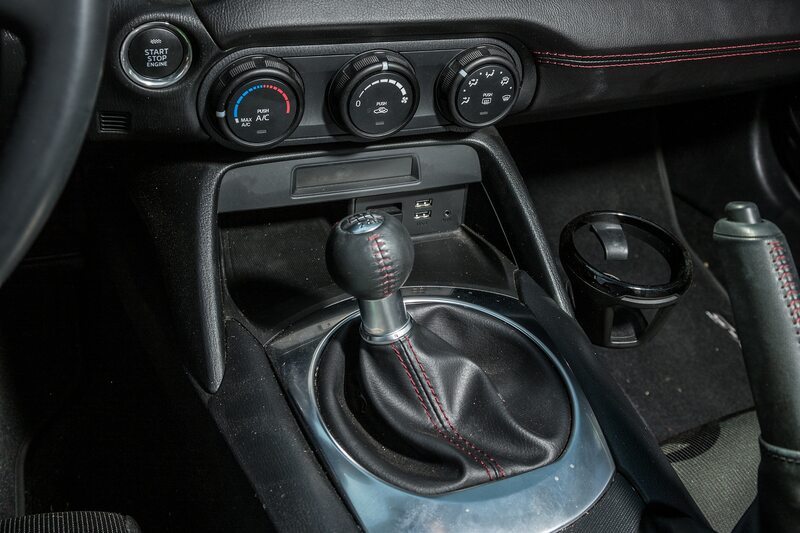 The dealer kept his MX-5 a few days to install a revised gearbox. 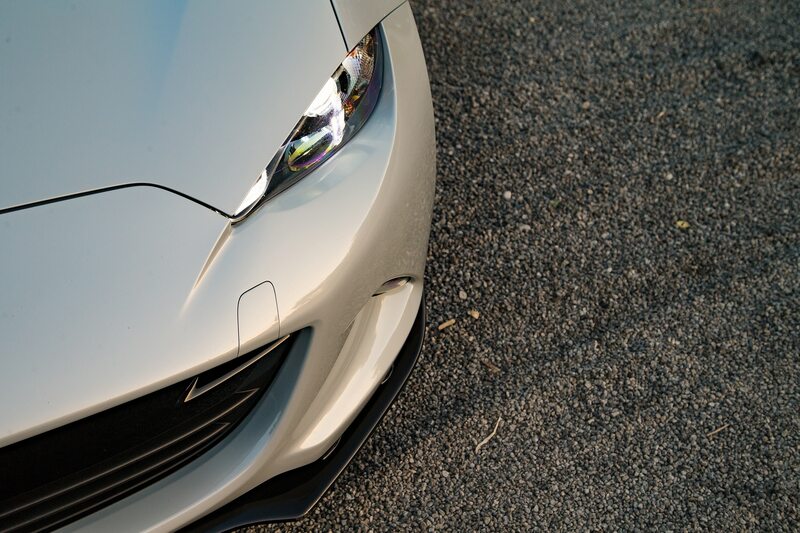 However, we received no TSB and had no issues even after tracking the car twice. 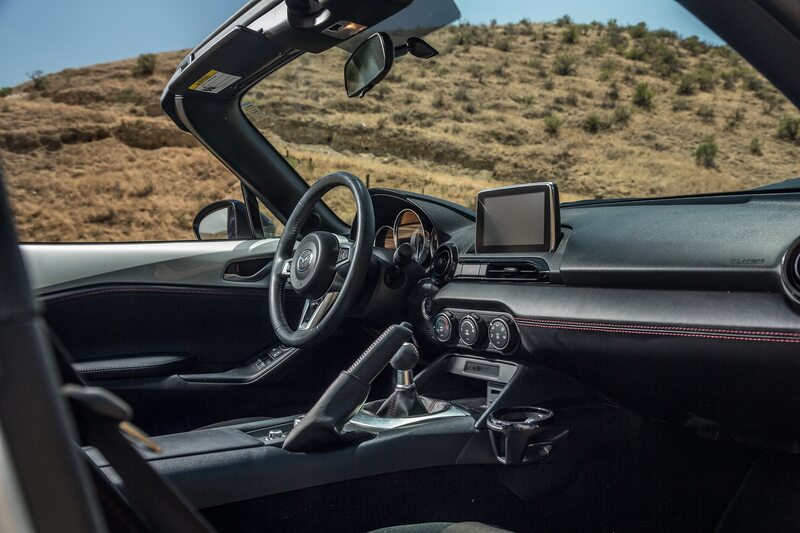 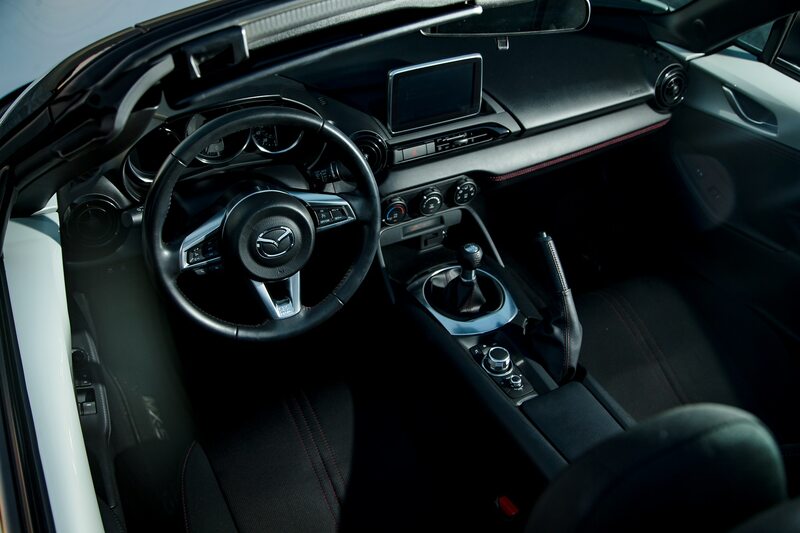 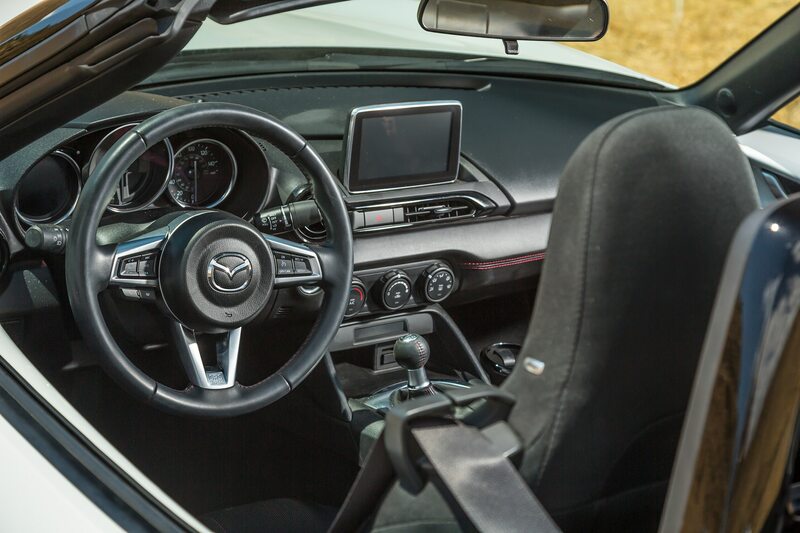 Although some younger staffers missed the navigation system and blind-spot warning indicators that come with the top-trim Grand Touring model, others regretted the electronic gizmos that did come with the Miata Club, such as the big center-screen control button in the center console, which is easy to brush when shifting gears. 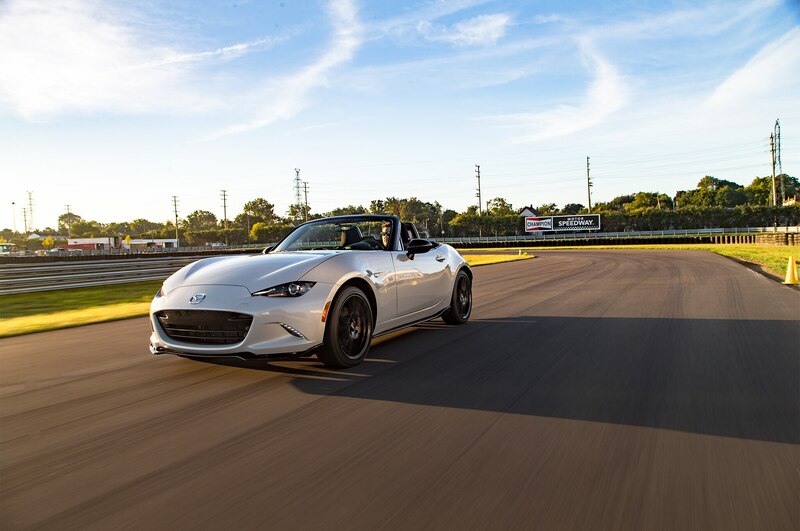 We want third, not a different radio station. 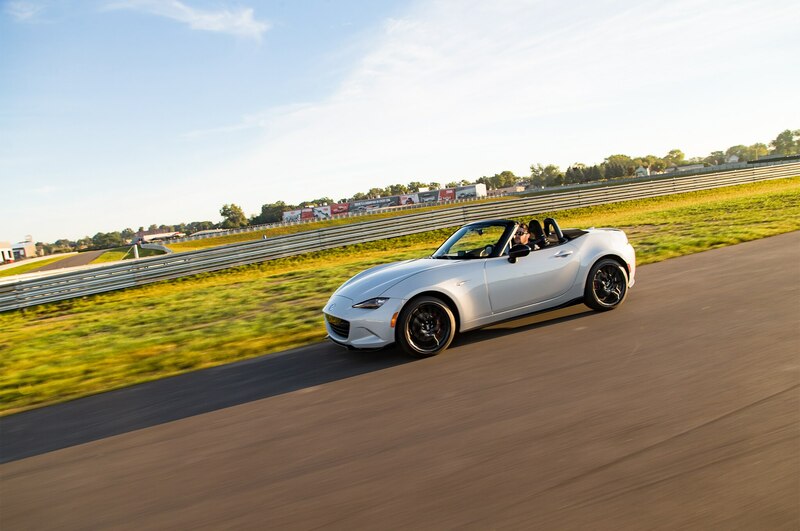 But that’s kibitzing over one of the last cars available at any price to offer all the charm and driving pleasure of a small, well-balanced, rear-drive, two-seat roadster without oil leaks and electrical gremlins of yore and the soul-sucking autonomous electric gadgetry that’s proliferating today. 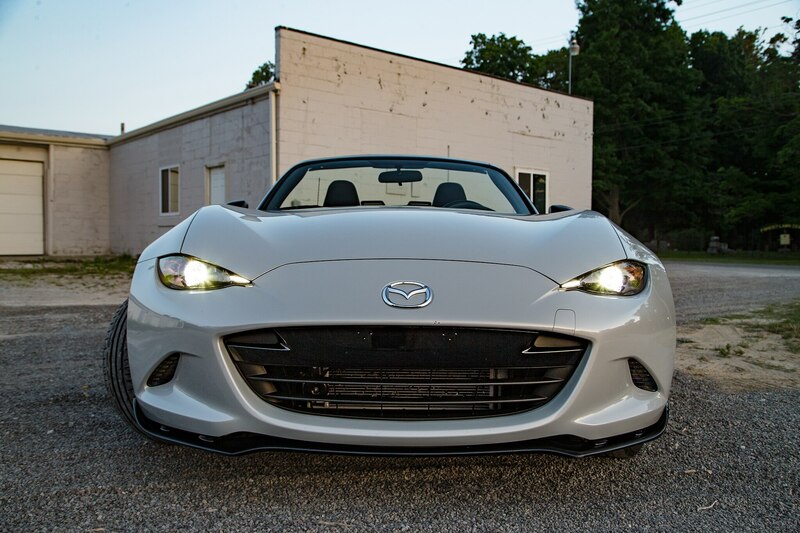 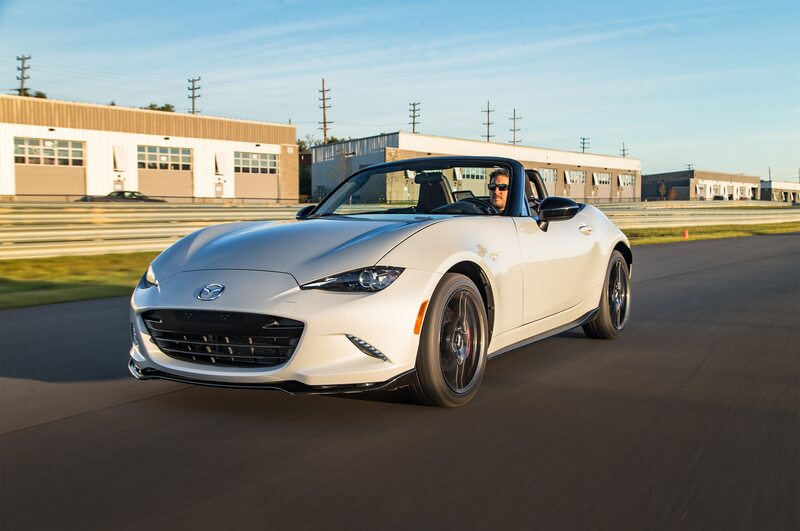 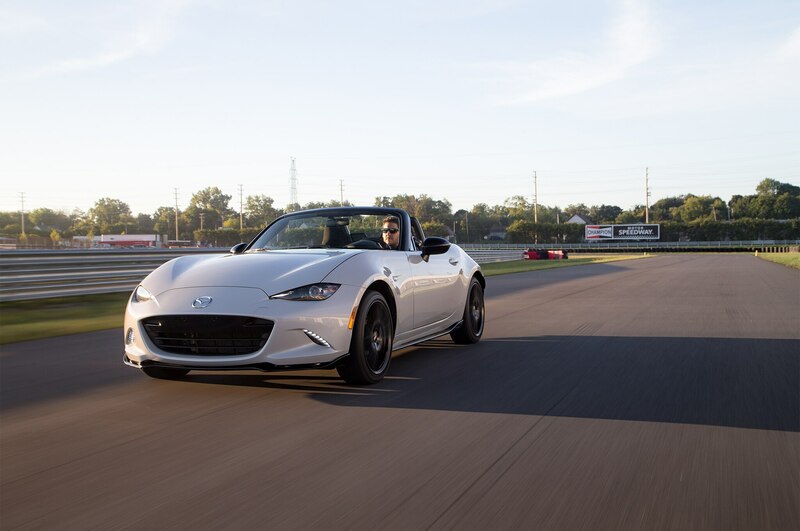 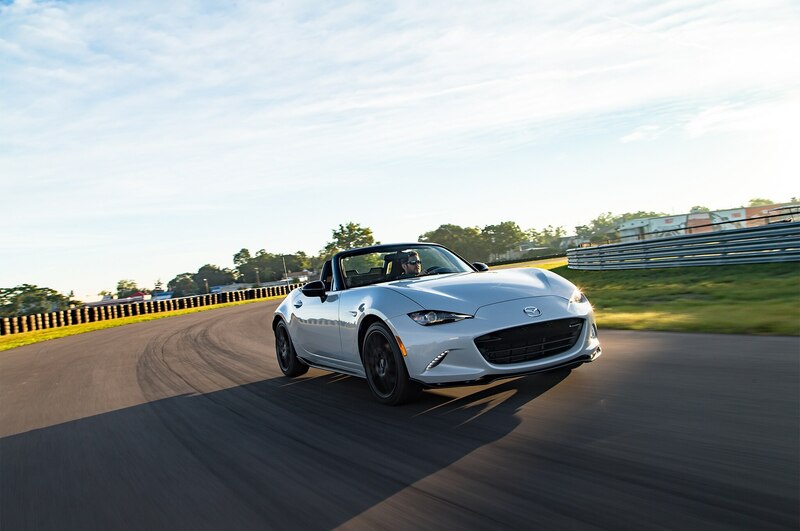 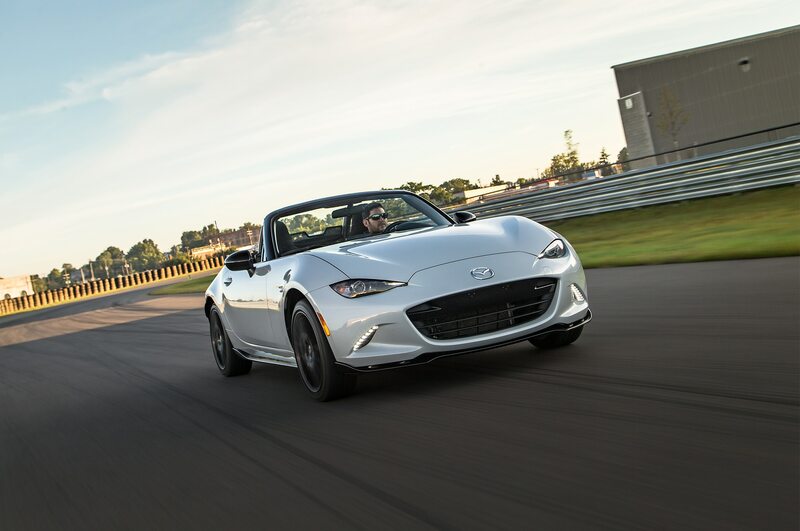 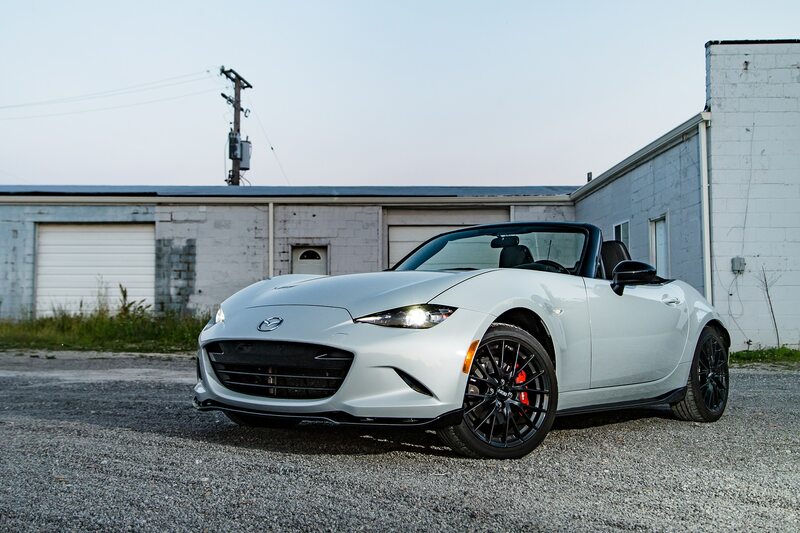 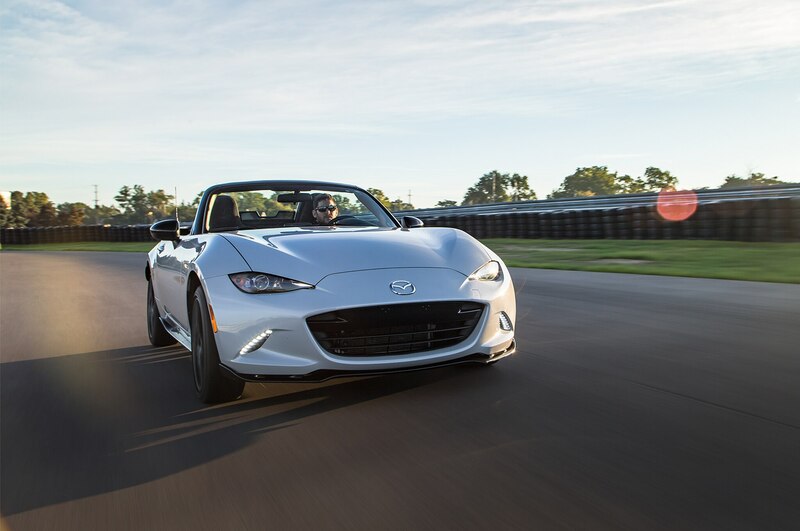 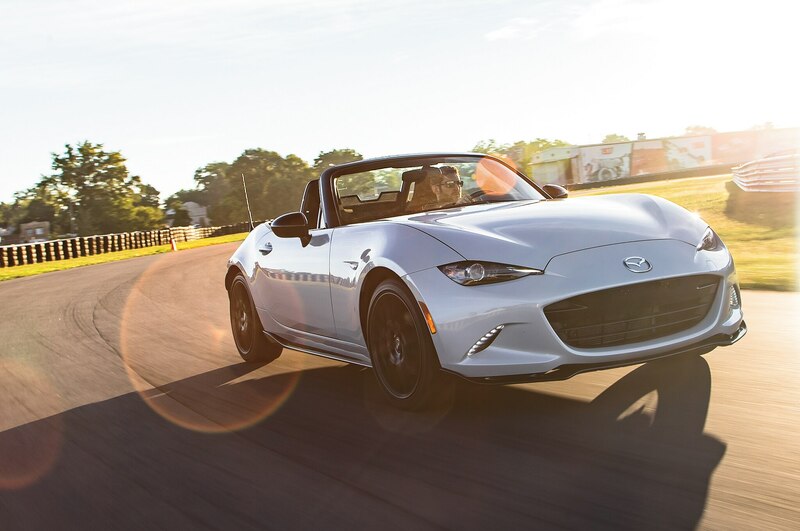 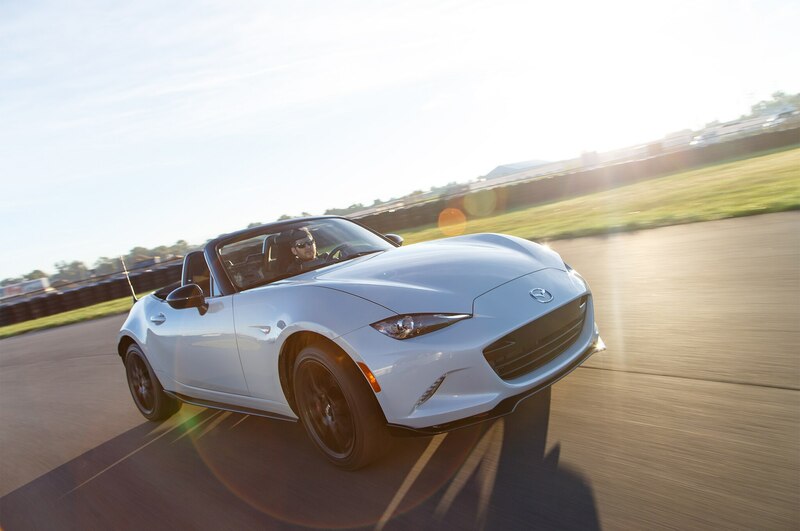 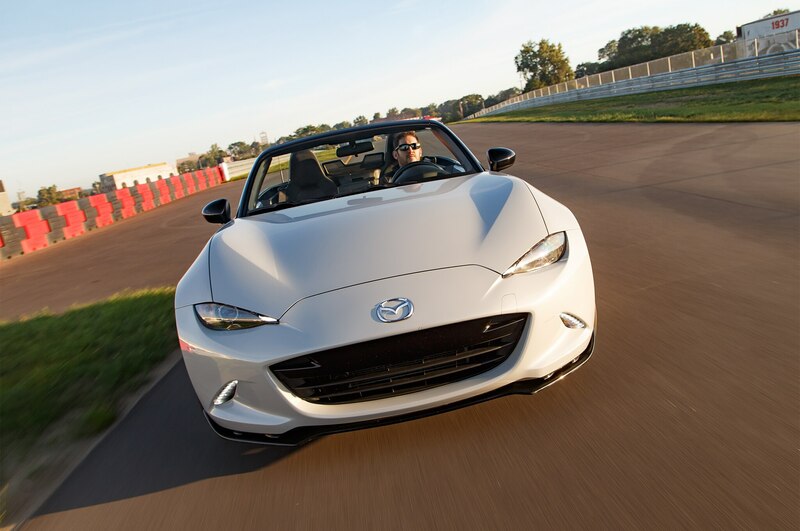 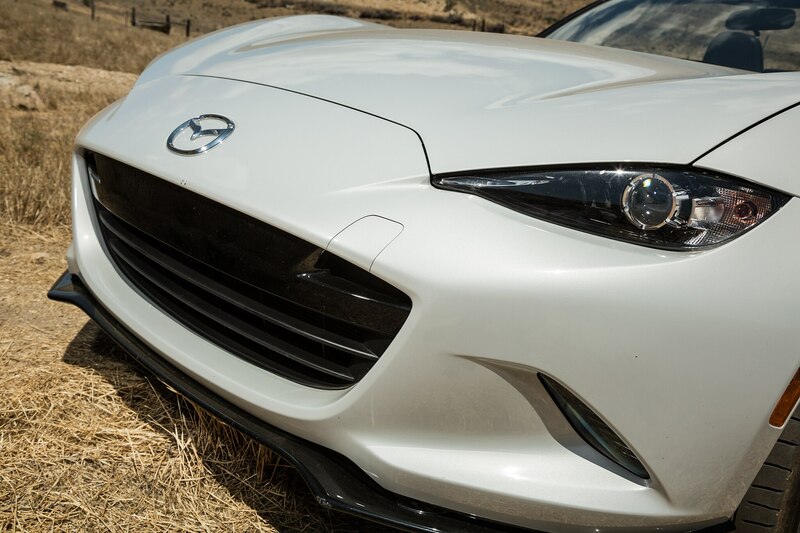 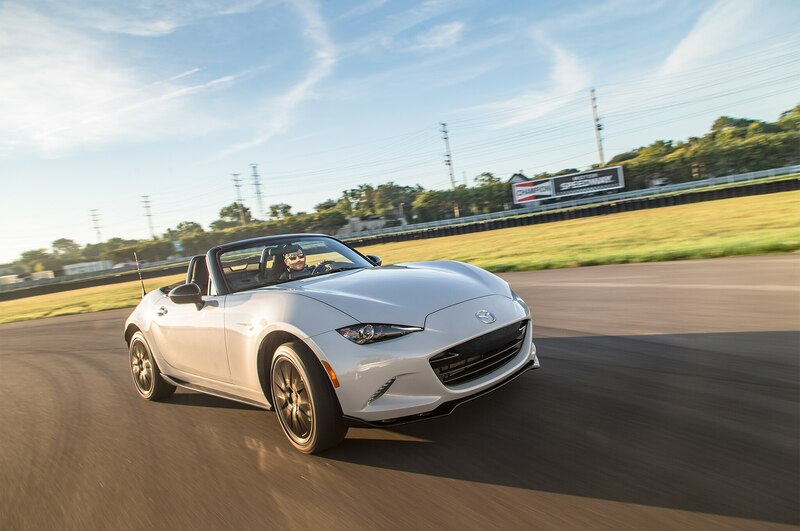 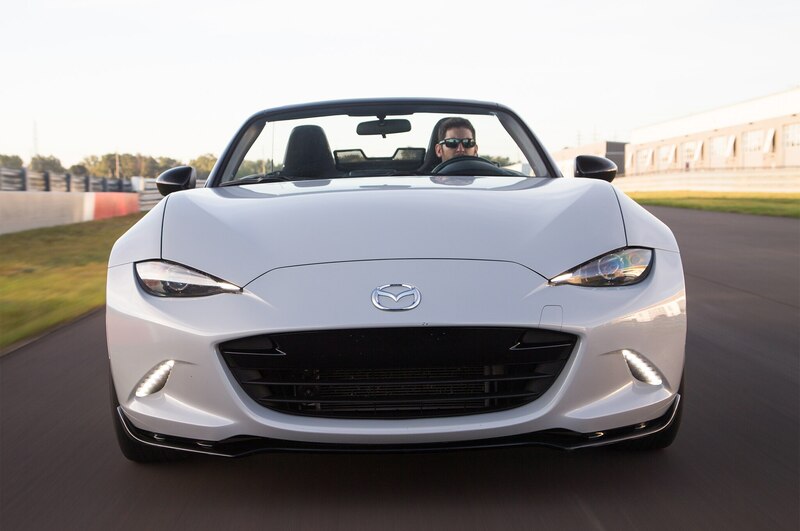 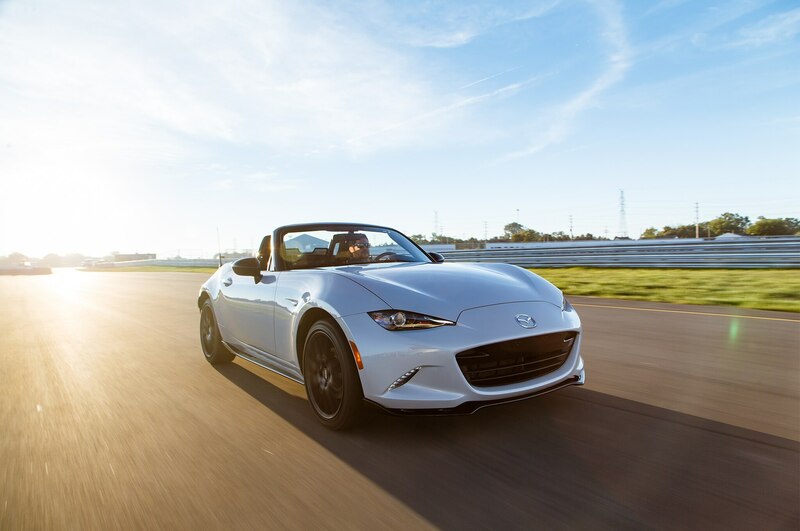 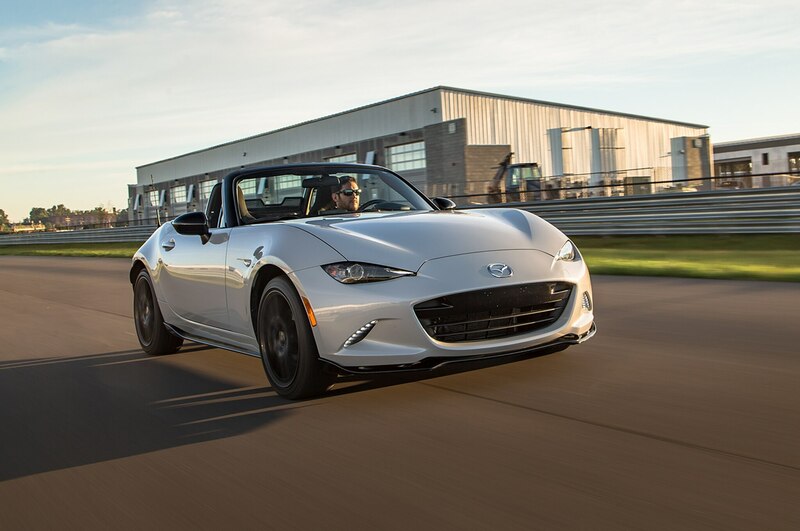 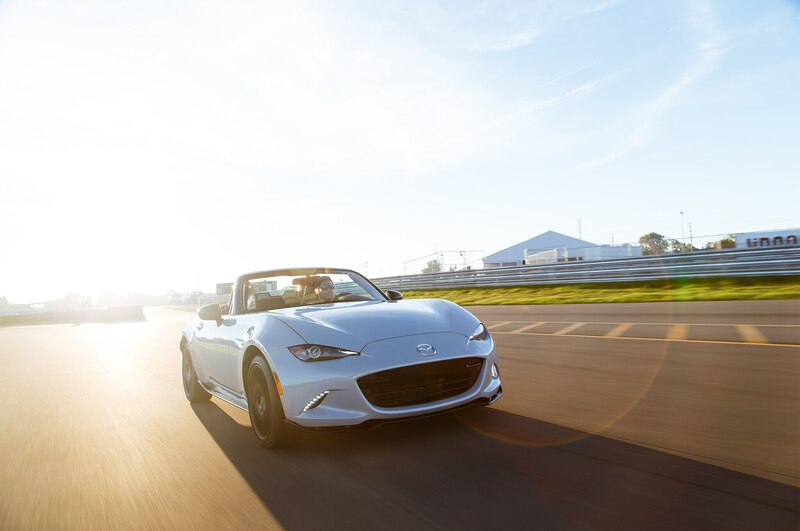 When we first took possession of our 2016 Mazda MX-5 Club, we asked, “Is the Miata always the answer?” For us lucky few, it is indeed the solution to all that.